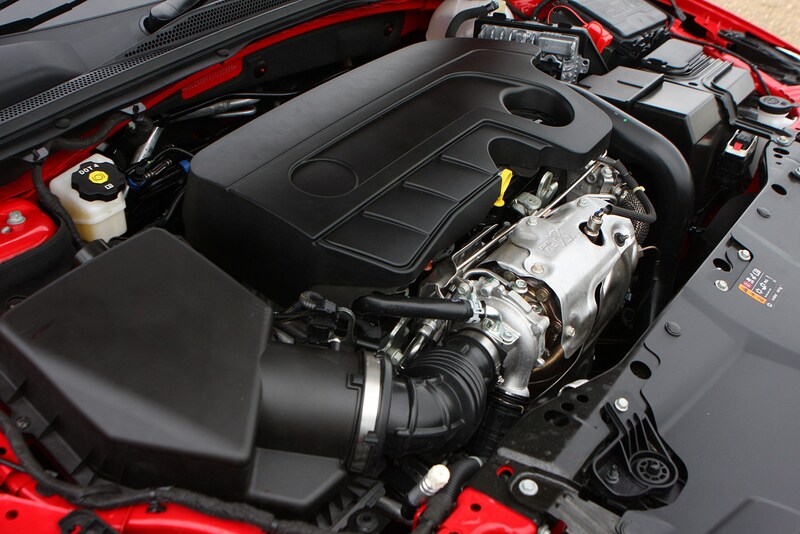 Insurance group: 13 - 28 How much is it to insure? 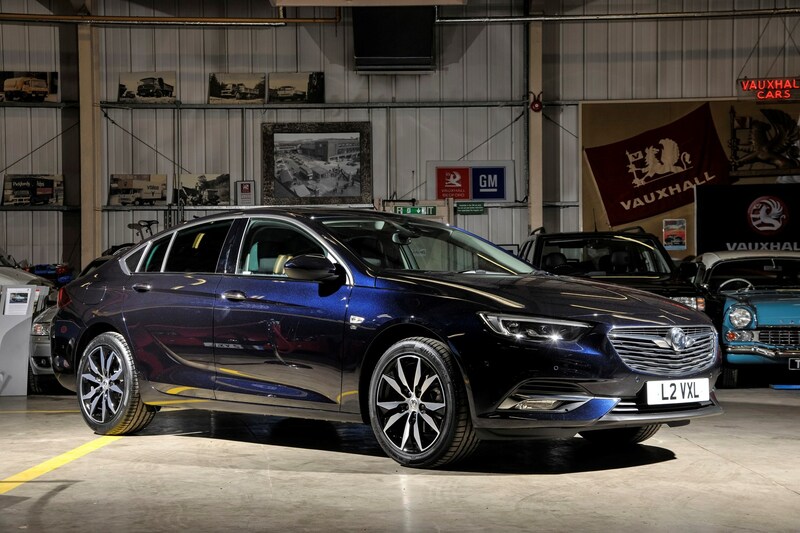 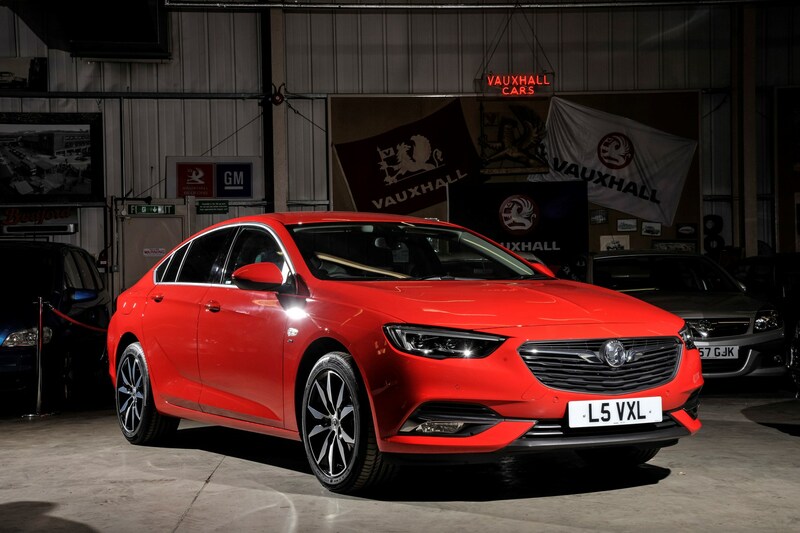 Showcasing sharper, edgier styling is the Vauxhall Insignia Grand Sport, a swanky new name for the replacement of the company's large hatchback range. 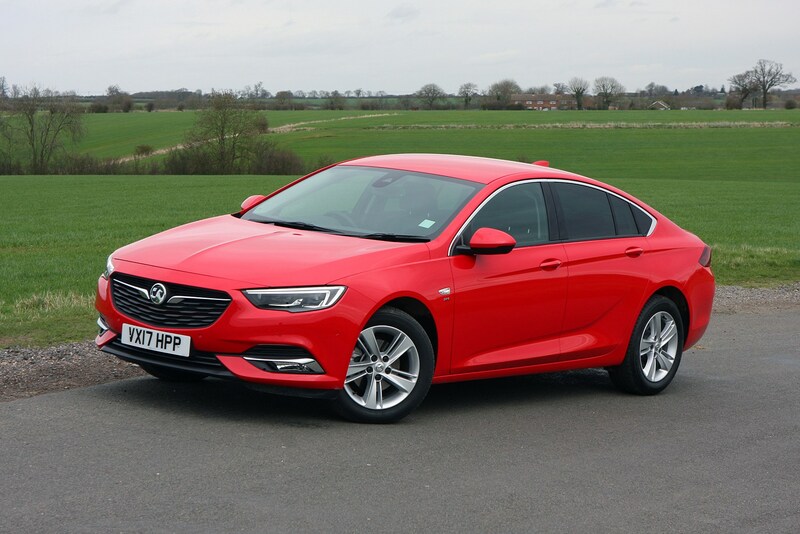 As before, the latest Insignia competes head-on with its long-time foe the Ford Mondeo, as well as the Skoda Superb, Mazda 6 and Volkswagen Passat – even though the latter two aren’t available in hatchback form. 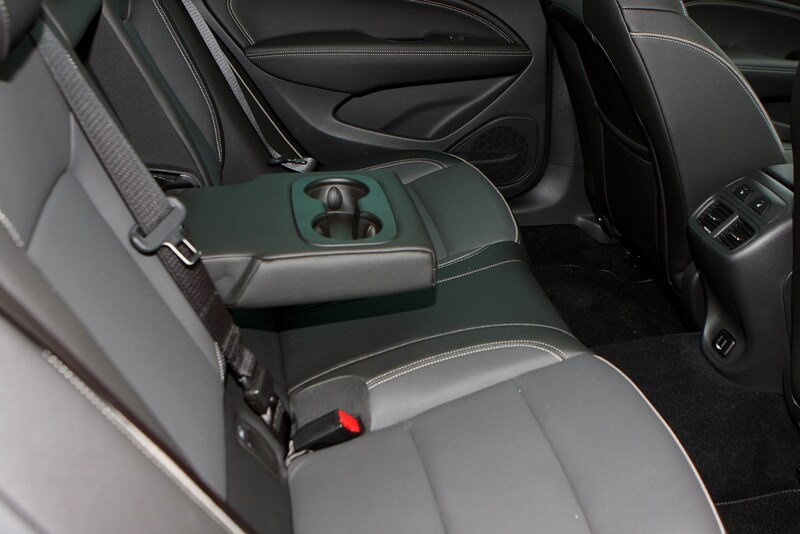 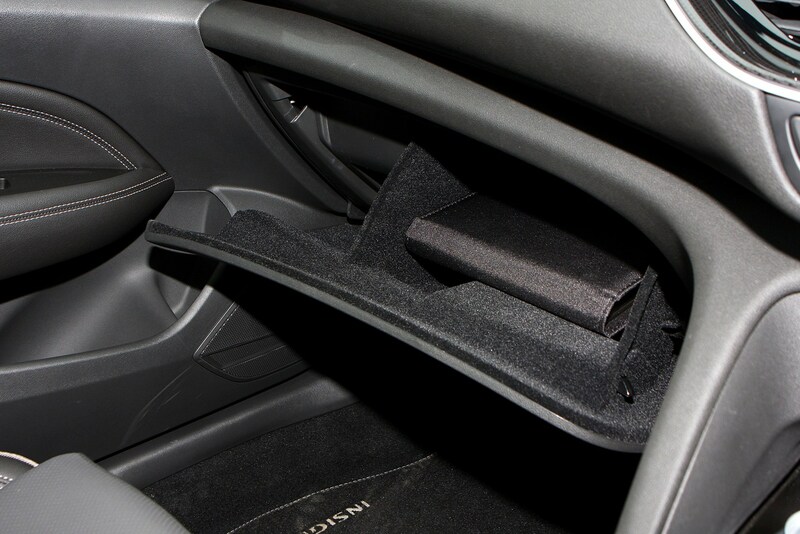 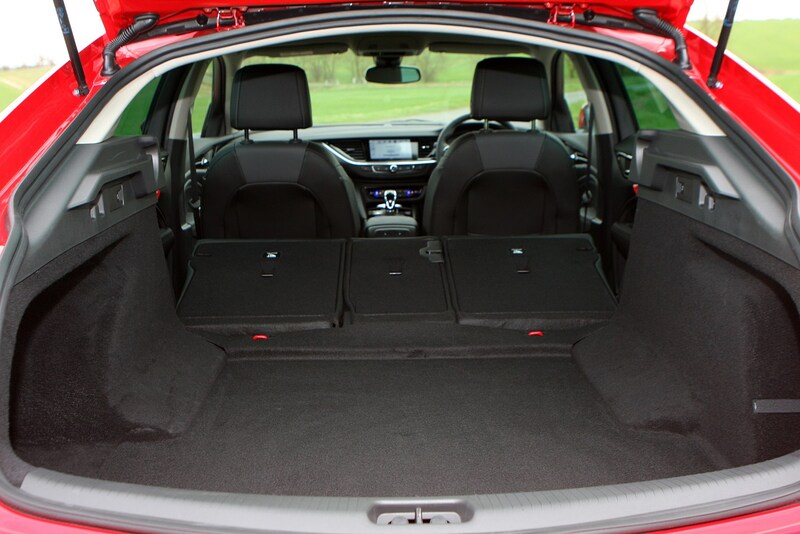 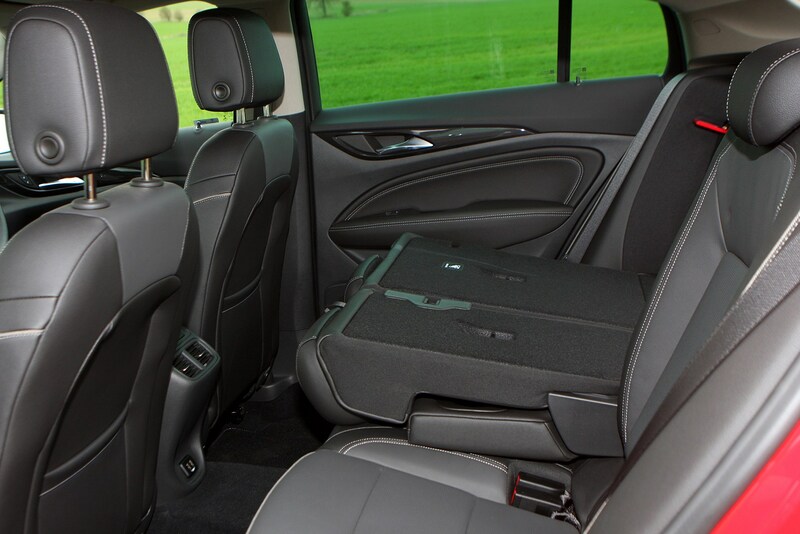 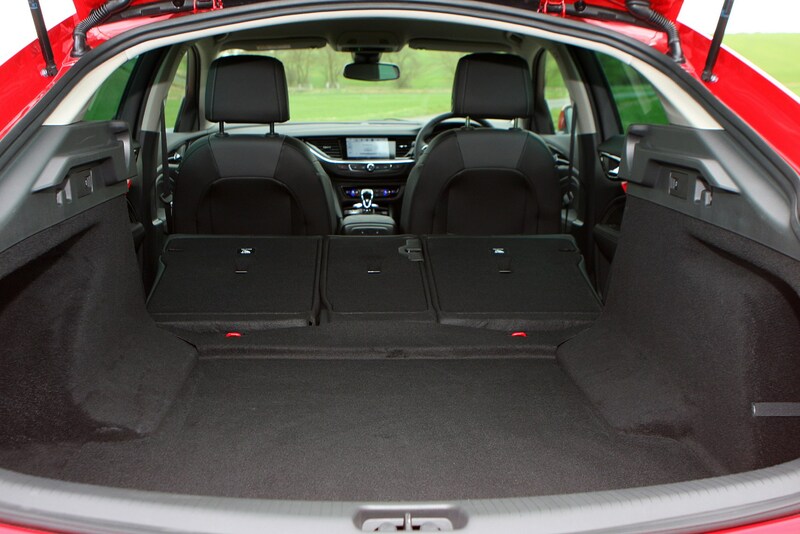 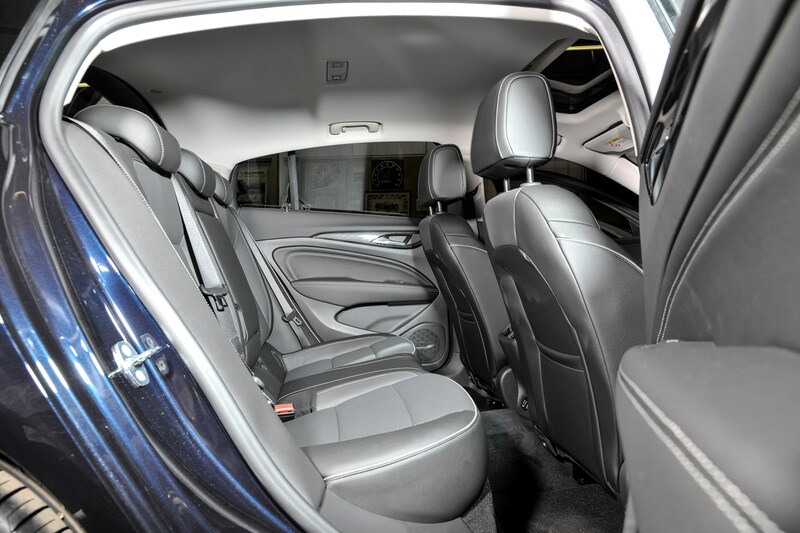 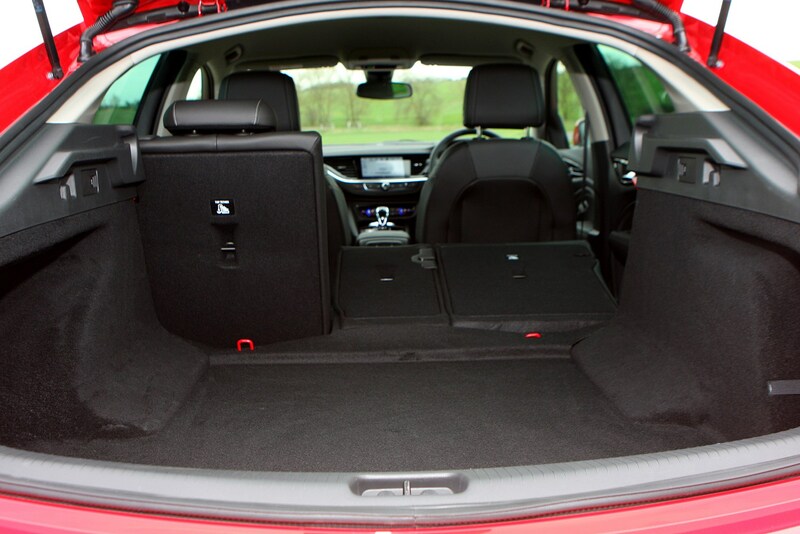 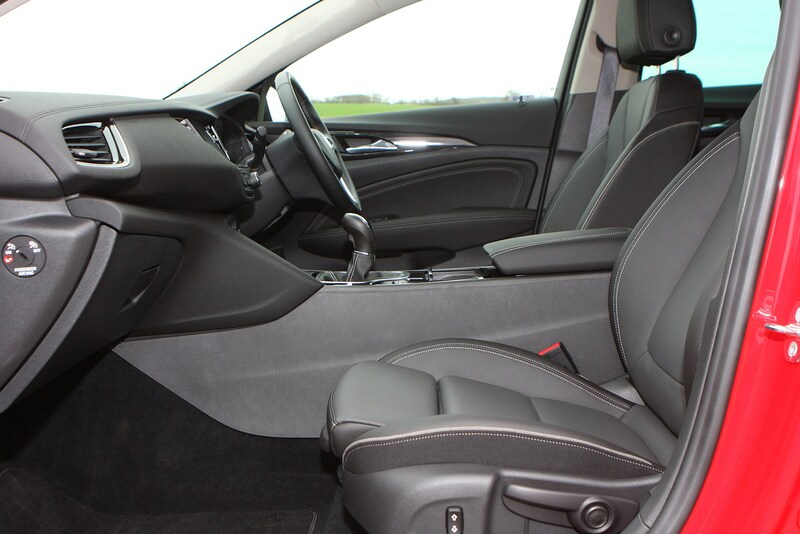 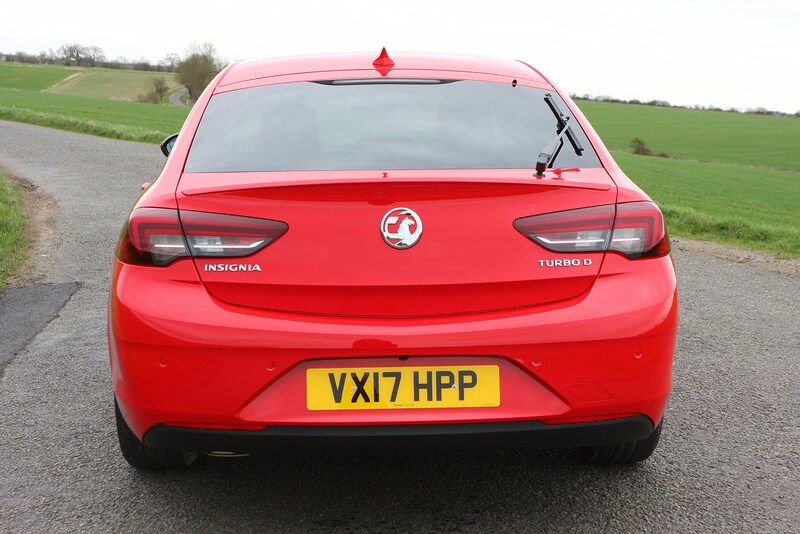 Vauxhall claims the revised architecture liberates more cabin space for passengers, and this is felt most obviously in the rear. 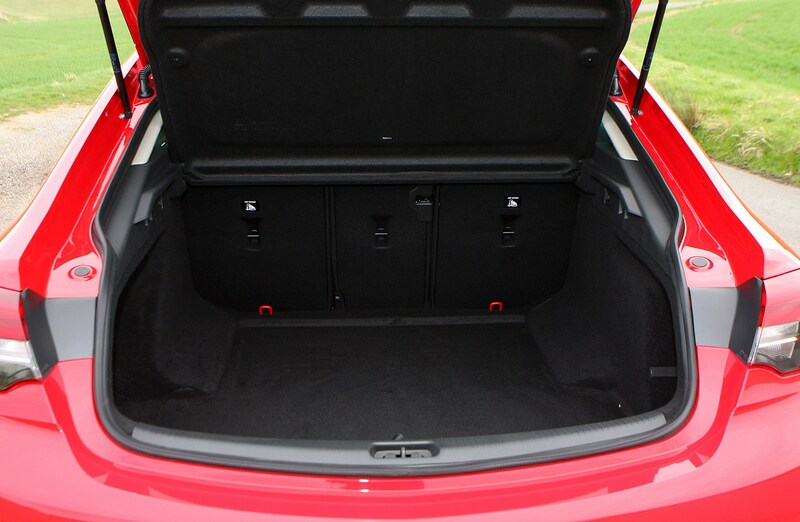 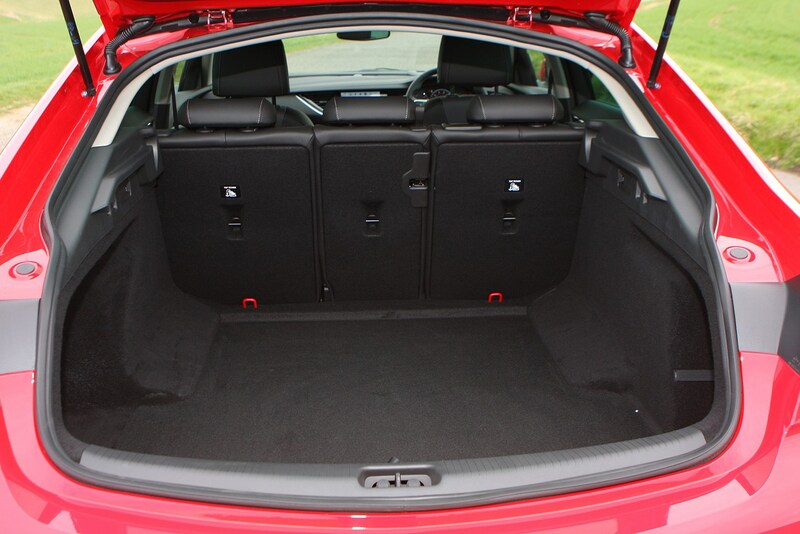 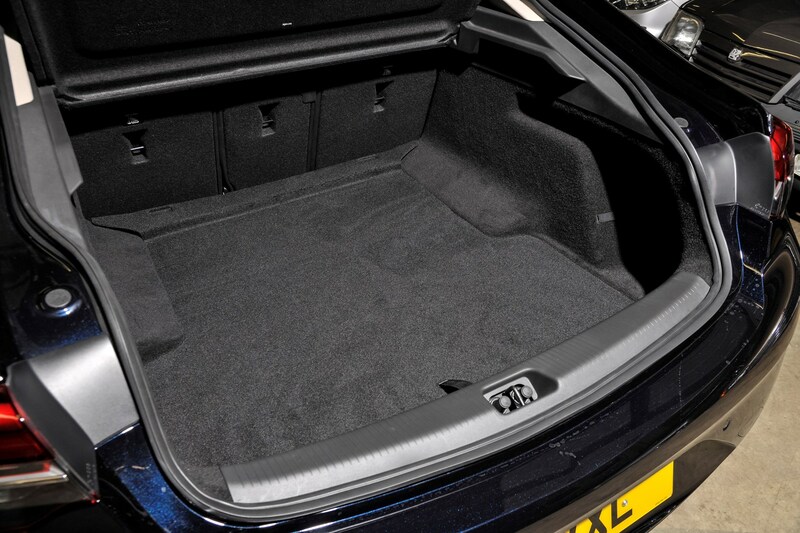 However, boot space has shrunk slightly as a result, down 40 litres to a 490-litre capacity. 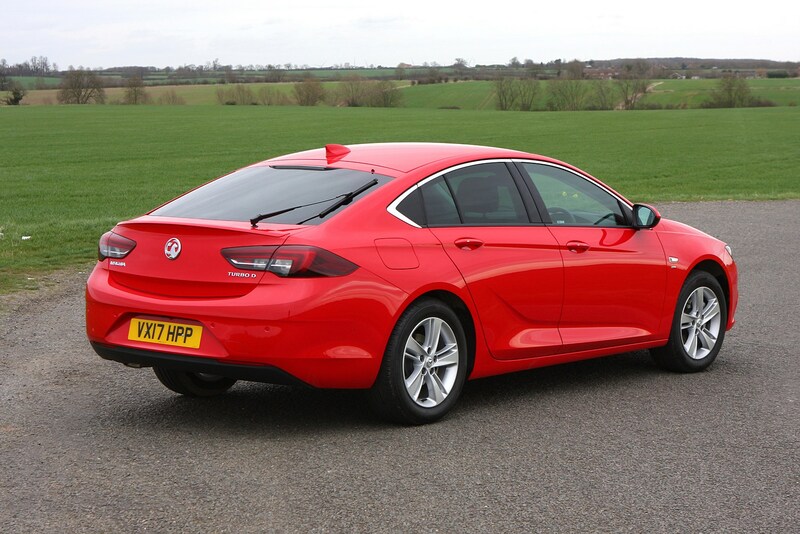 But it's better-shaped than the old car. 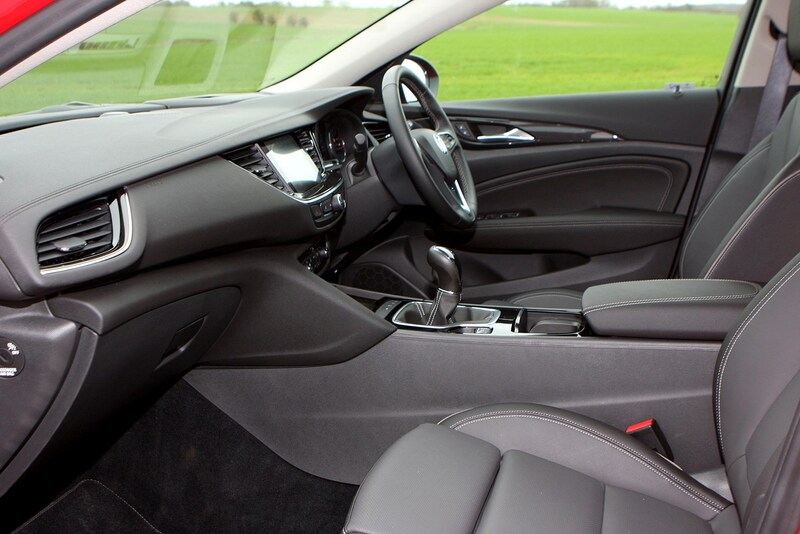 The interior feels airy – despite the fact that those small side windows aft of the rear doors are in fact dummy panels masking rather thick pillars. 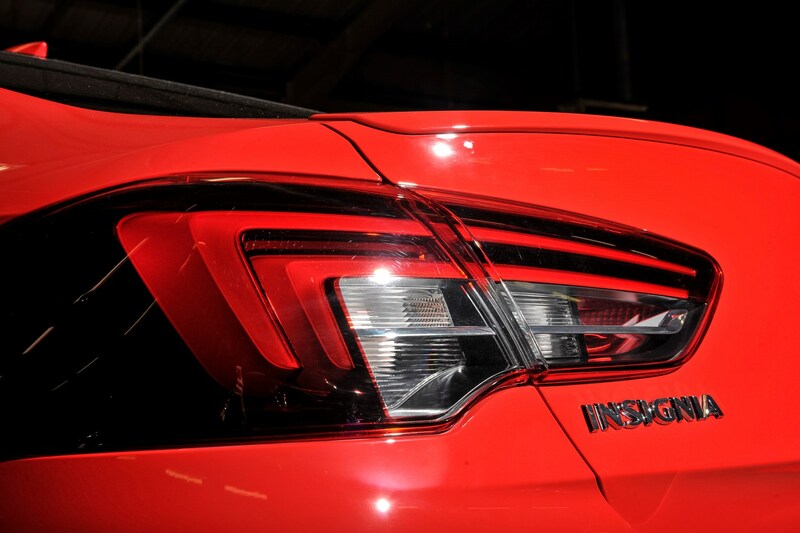 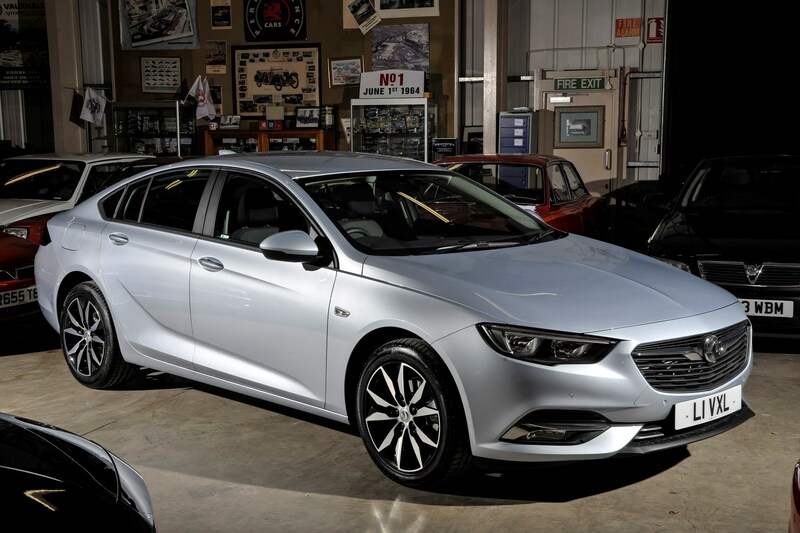 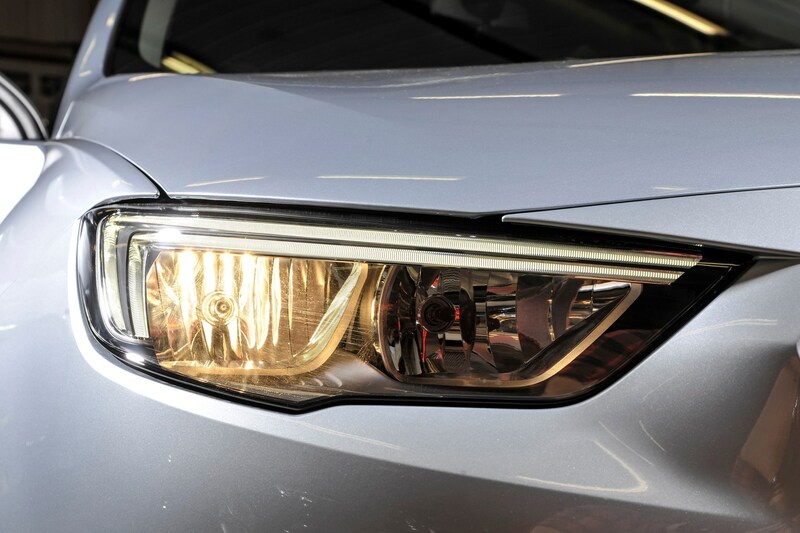 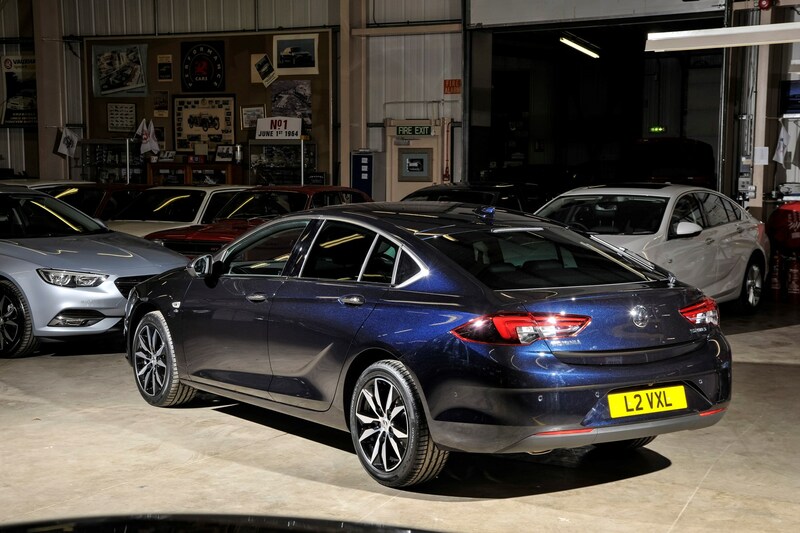 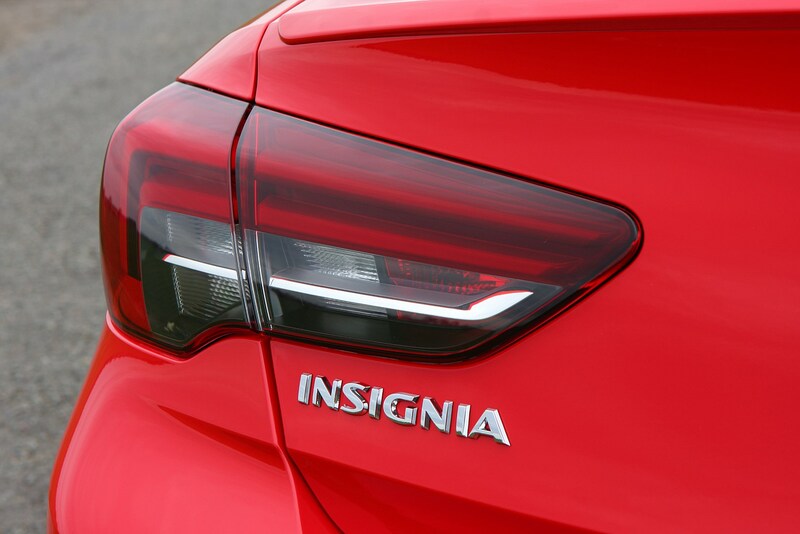 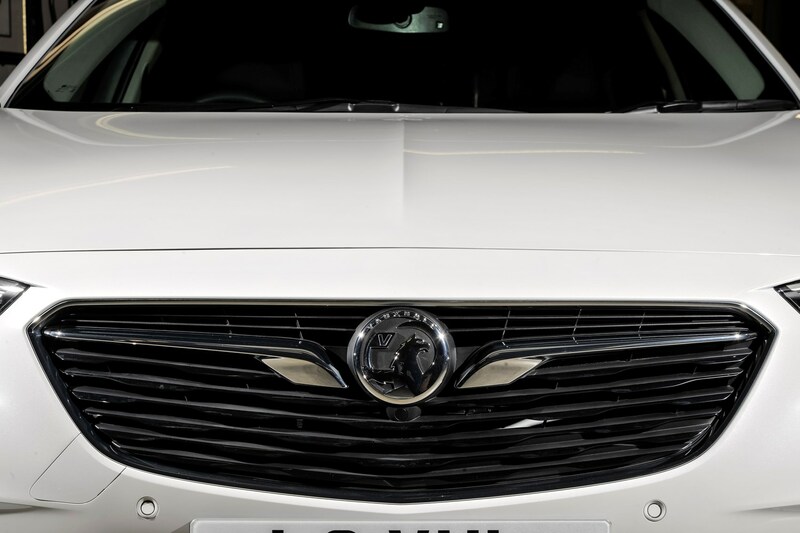 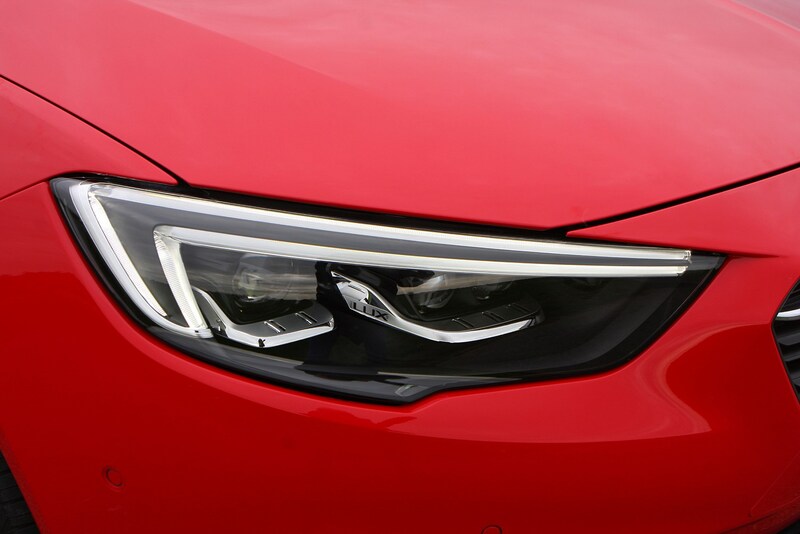 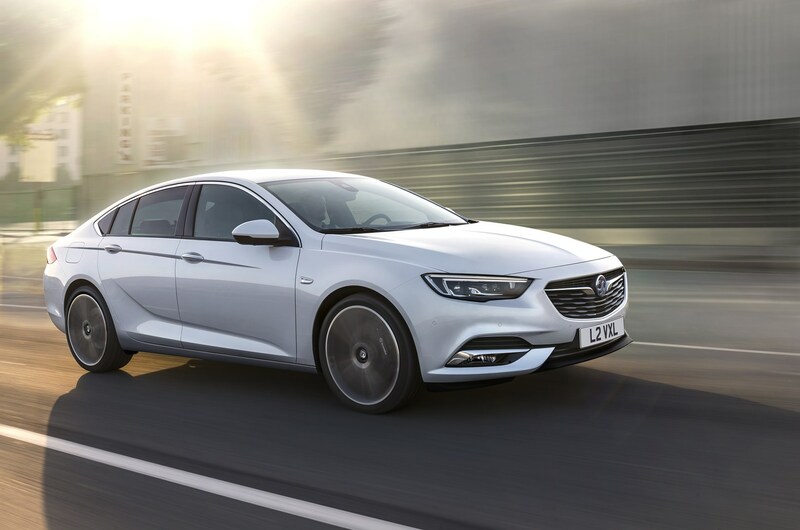 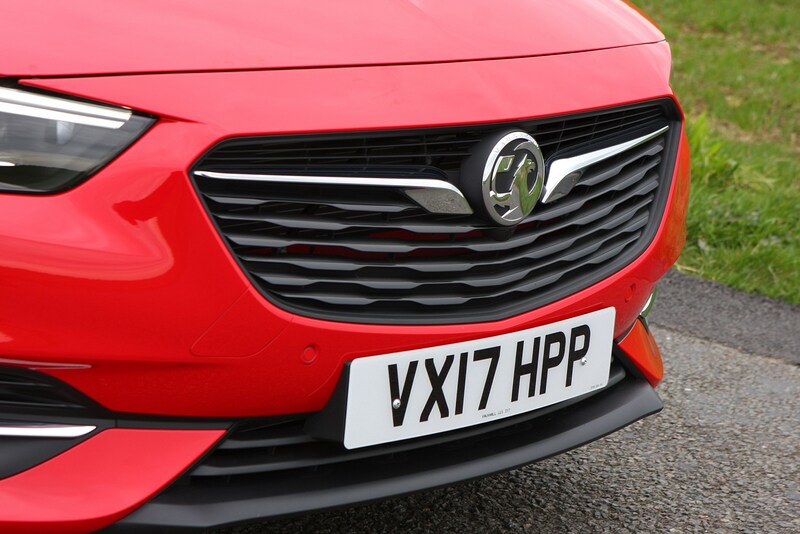 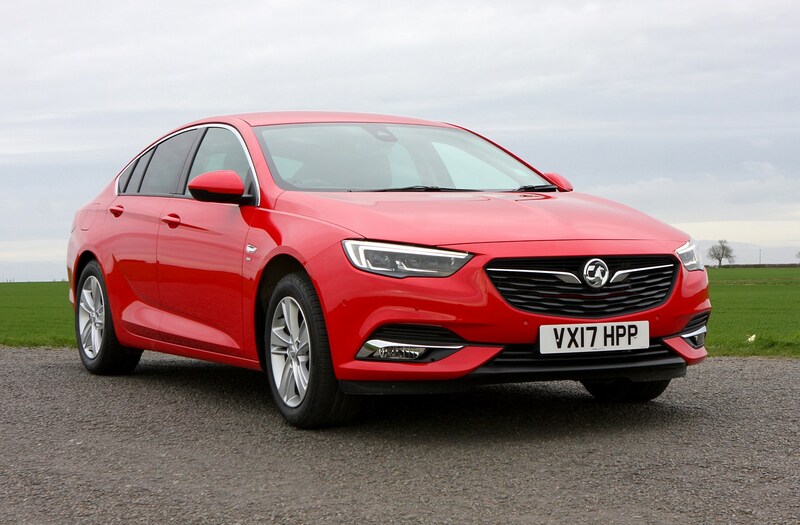 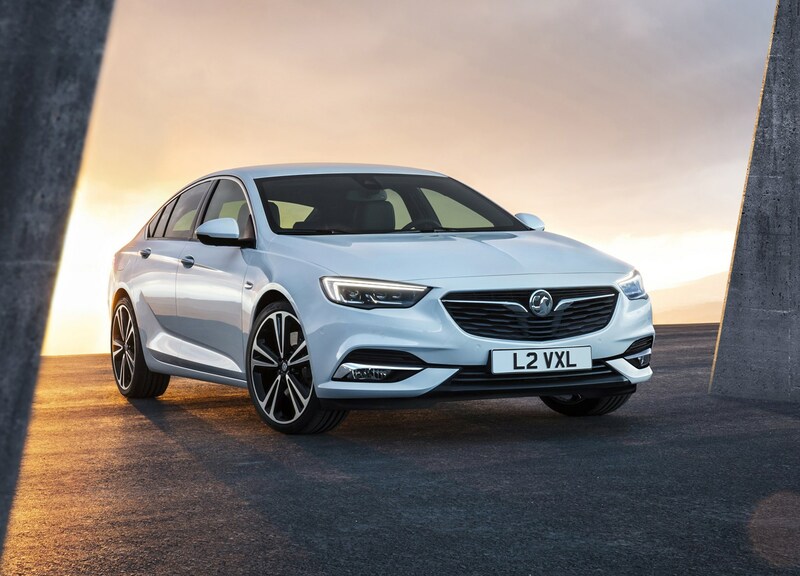 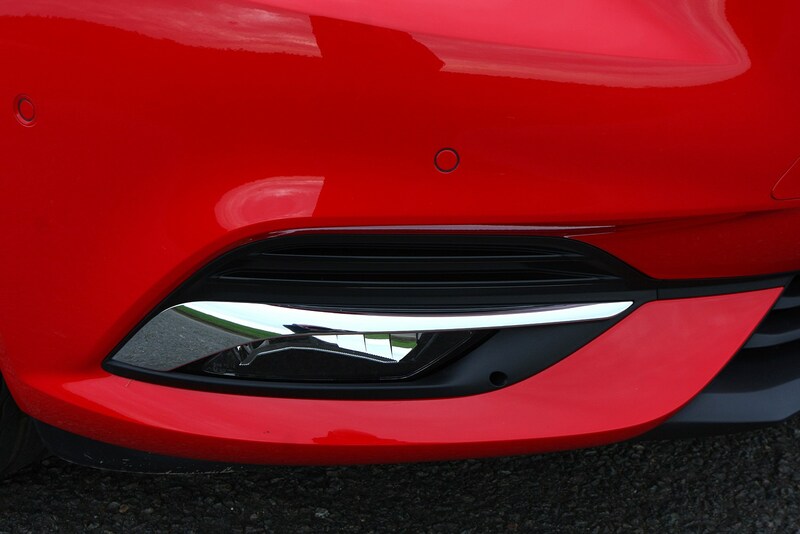 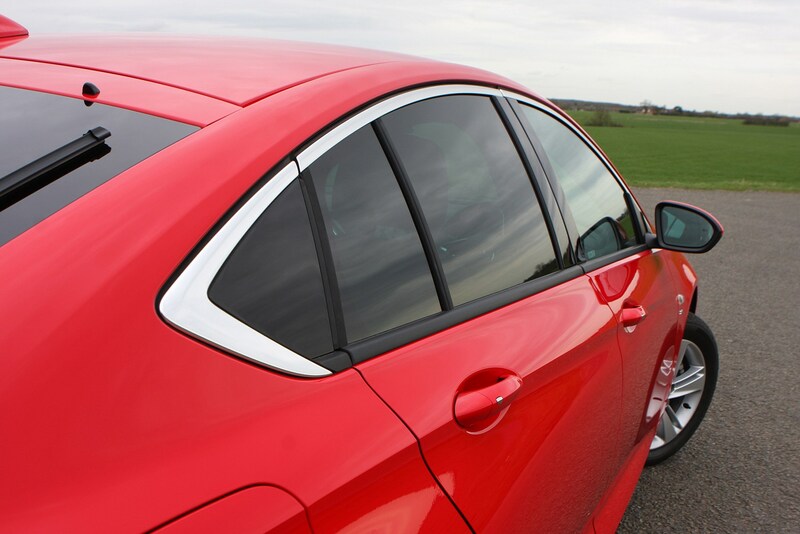 The Insignia Grand Sport’s nose is dominated by a new interpretation of the Vauxhall grille, while high-end models feature the brand’s LED Matrix headlamps, featuring 32 lighting elements compared with the Astra’s 16. 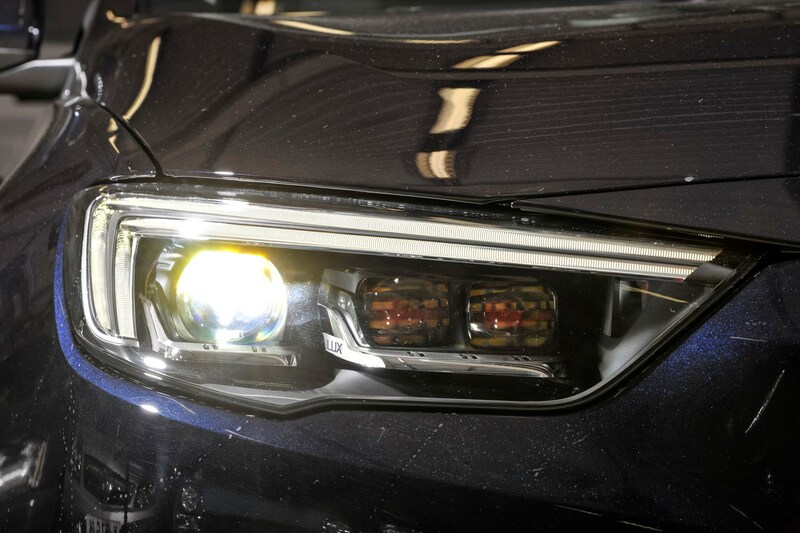 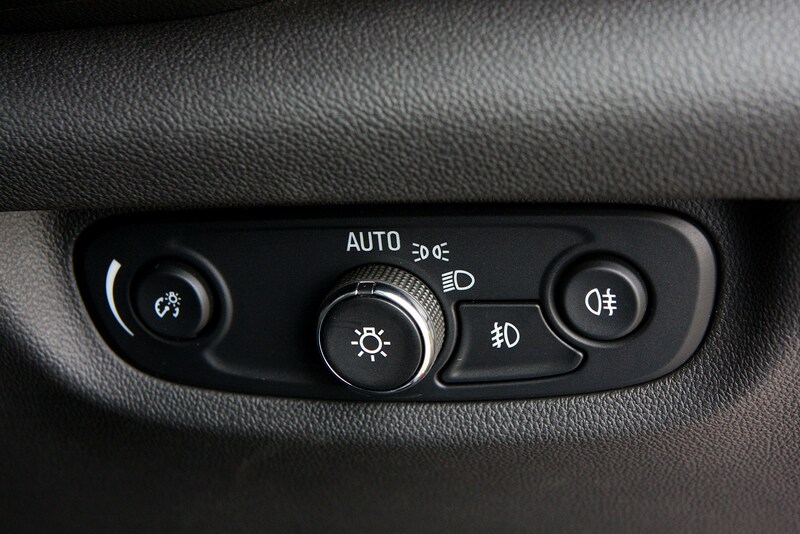 Not only are they brighter, but they are even more precise in the way they shut down sections of light to avoid dazzling oncoming drivers. 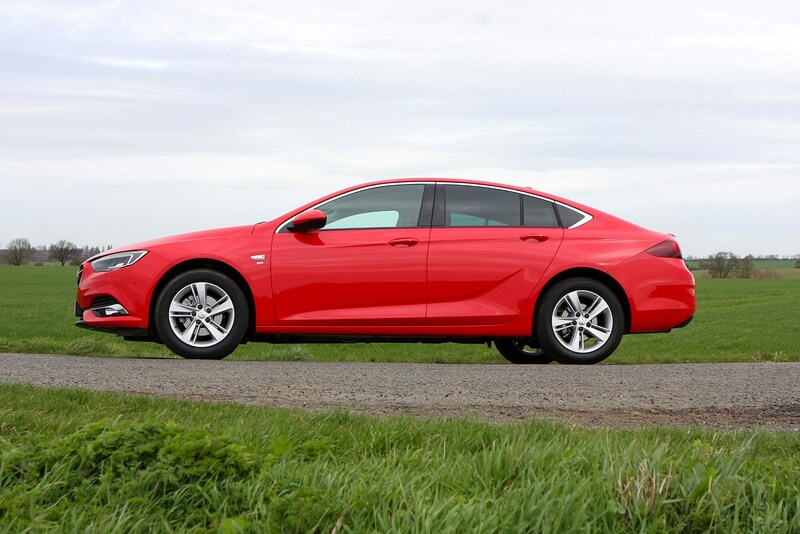 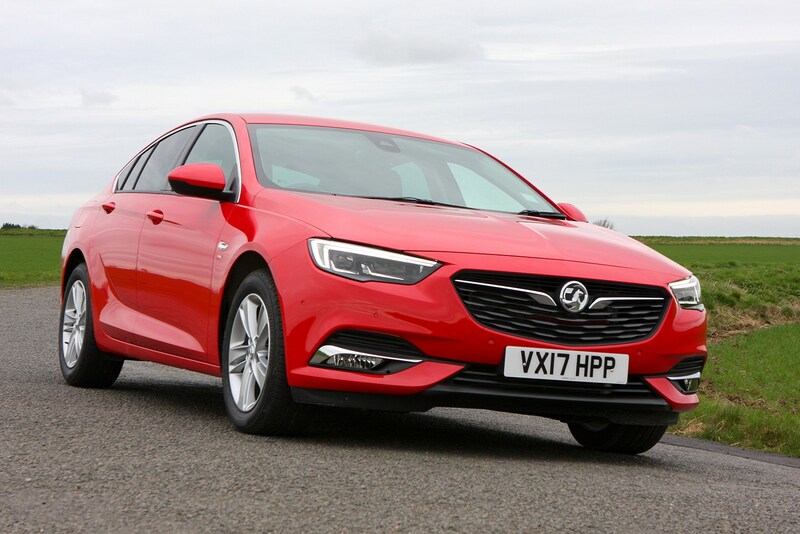 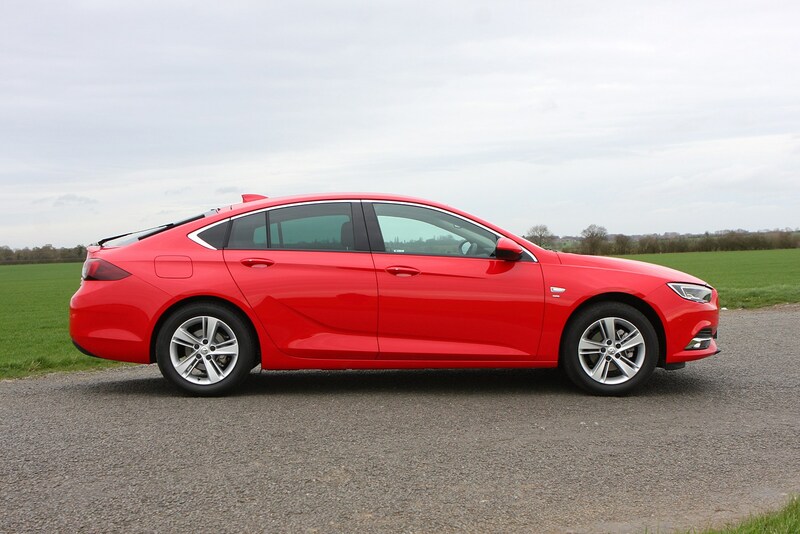 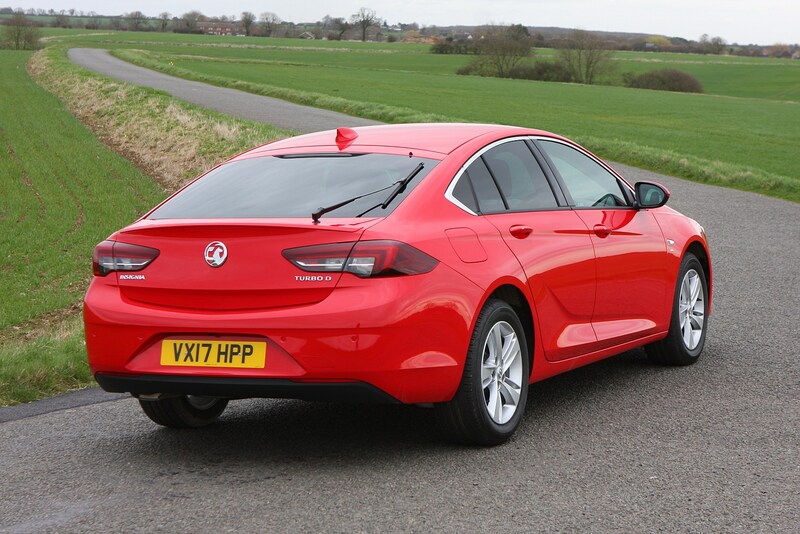 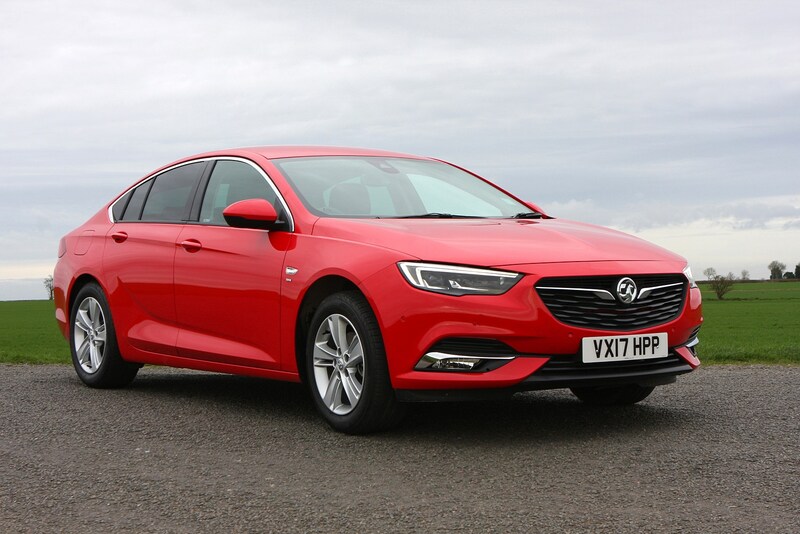 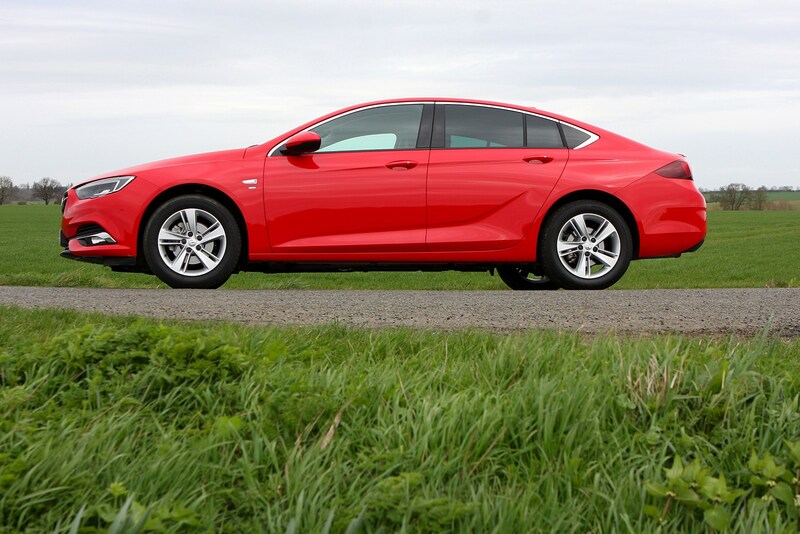 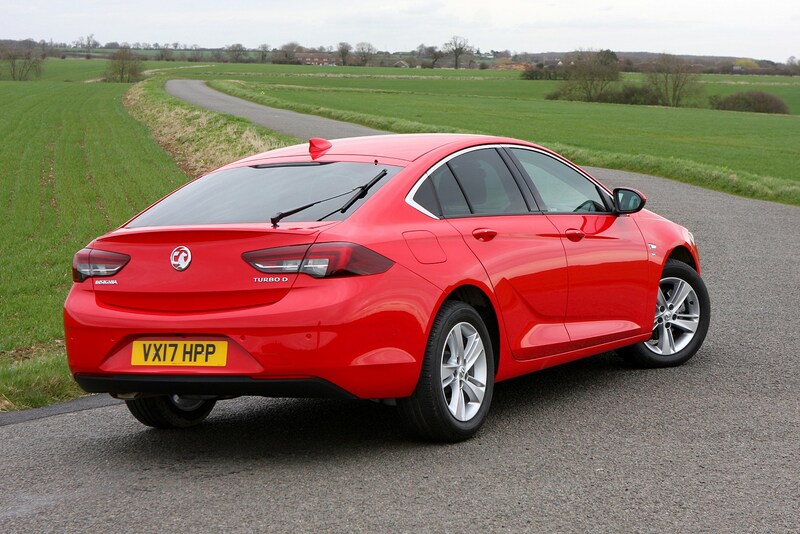 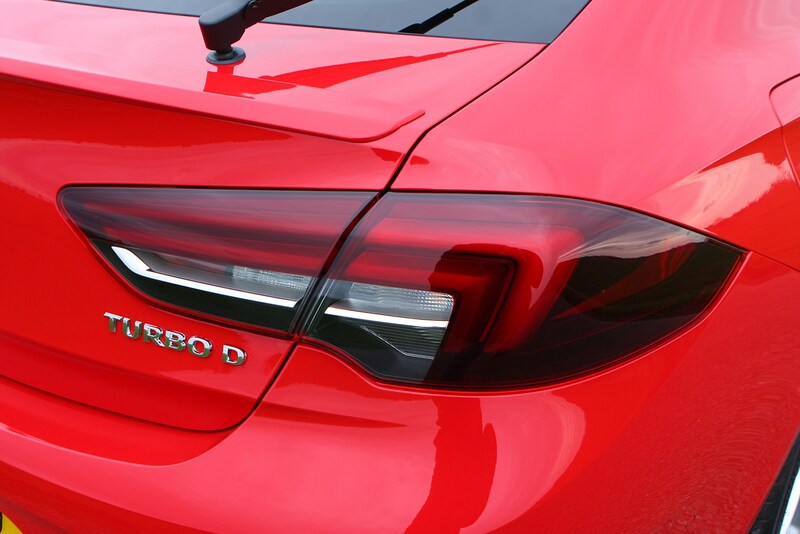 Despite the bodywork creases and chamfered corners, it cleaves the air with impressive ease; Vauxhall quotes a drag coefficient of 0.26 (the same as the 1989 Calibra! 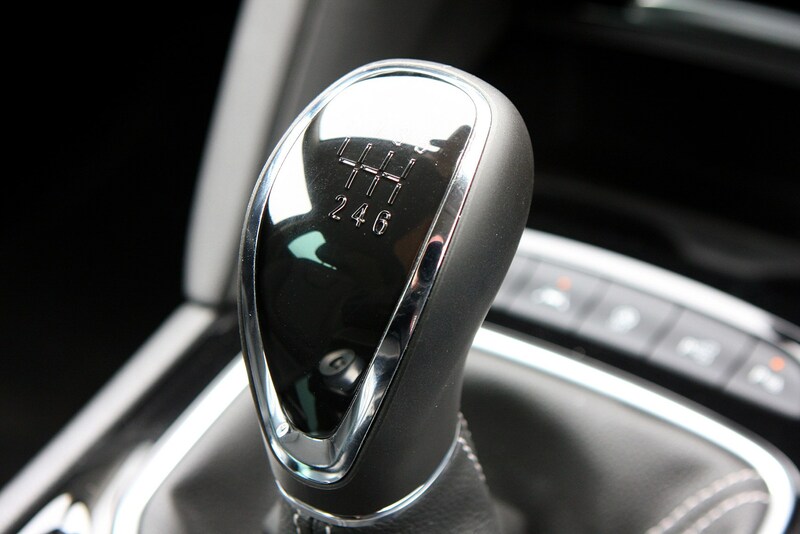 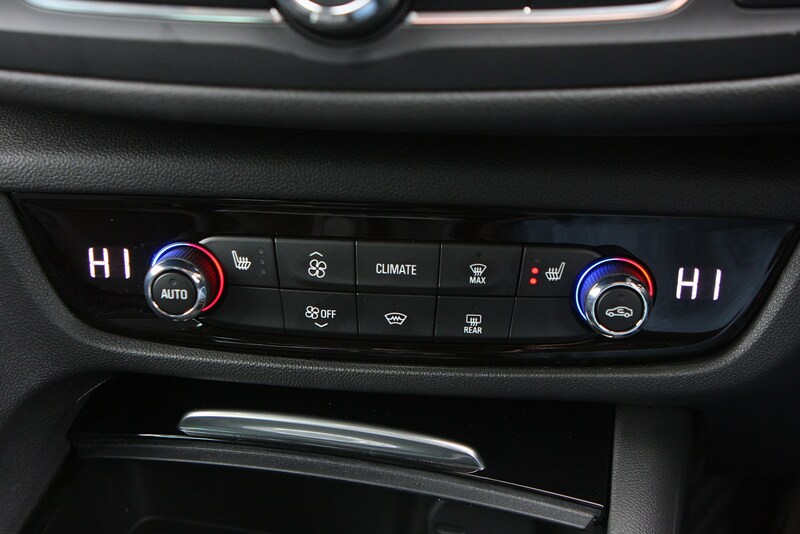 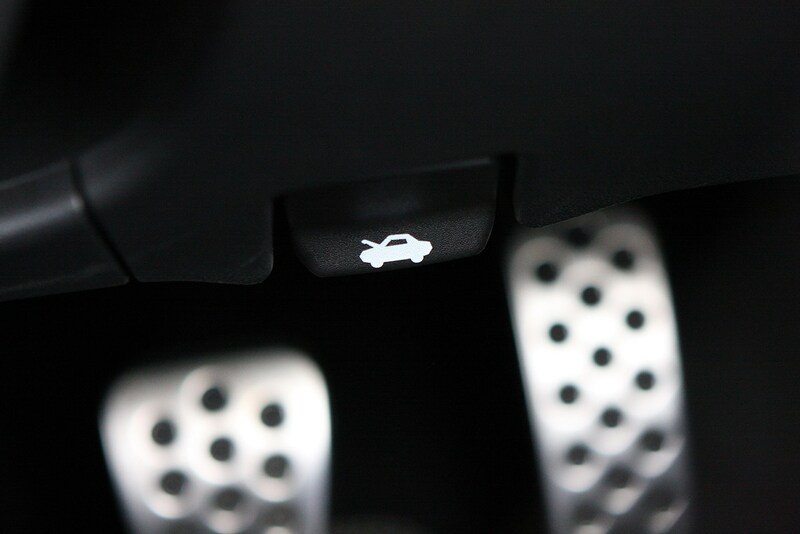 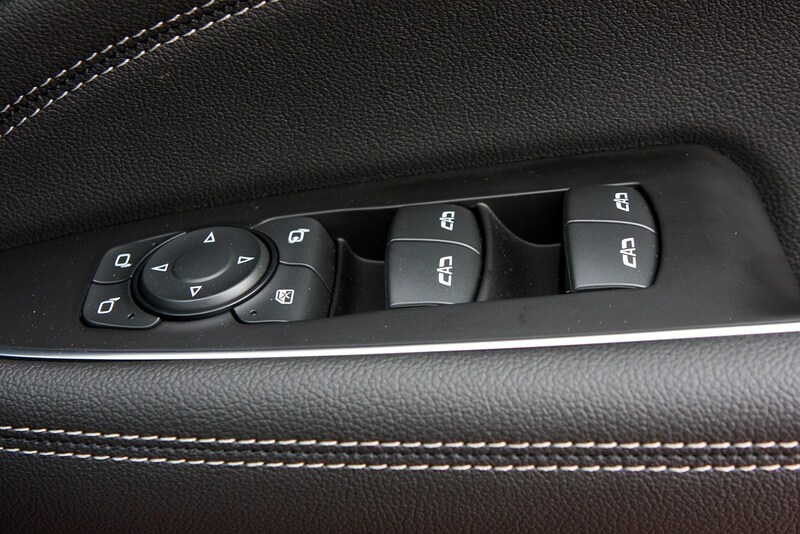 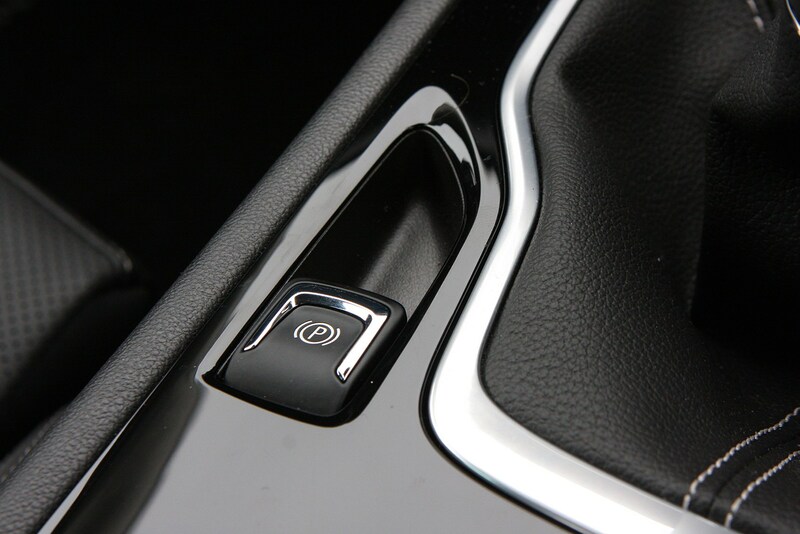 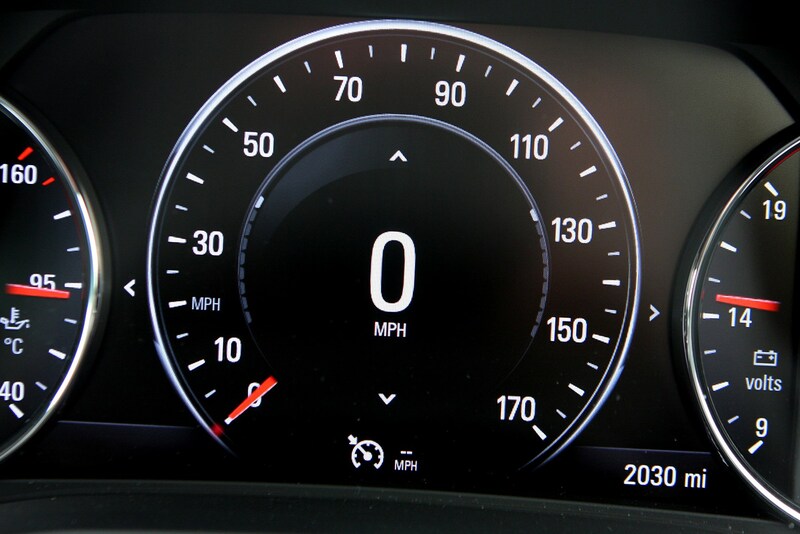 ), which should yield fuel efficiency and low CO2 emissions benefits. 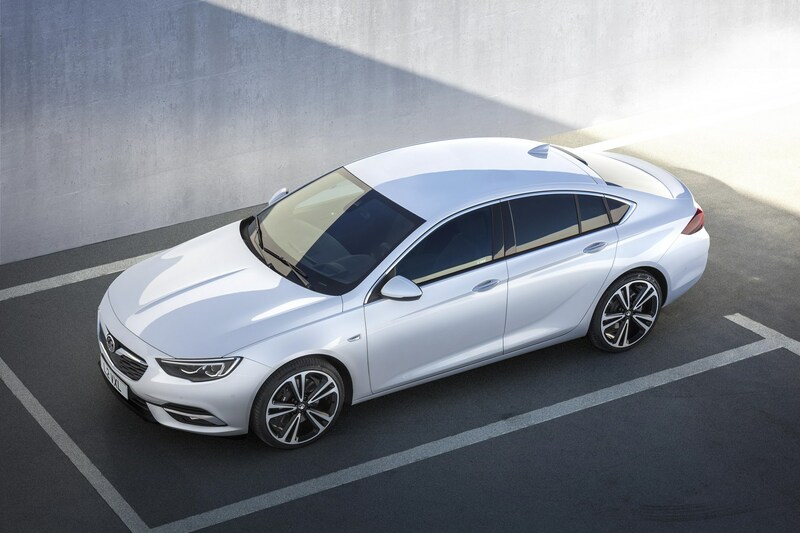 The new car is also up to 175kg lighter, model-on-model, than the outgoing Insignia. 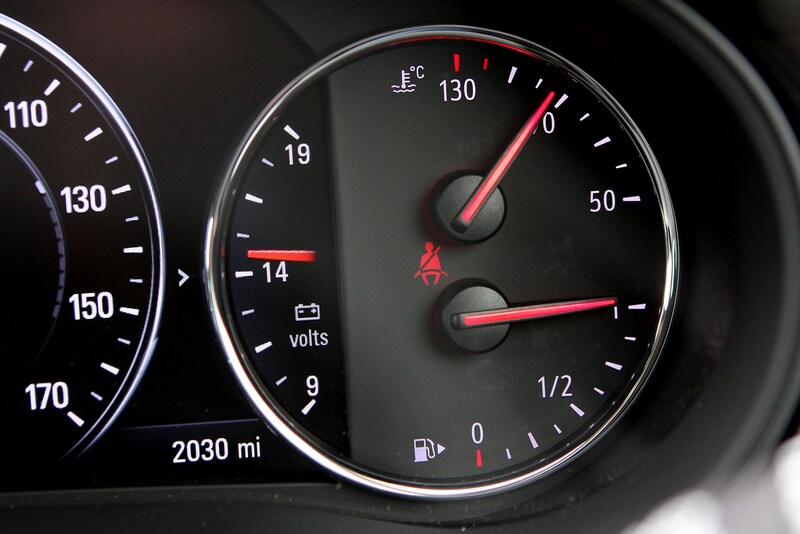 There are six engines in total, including three petrol and three diesels. 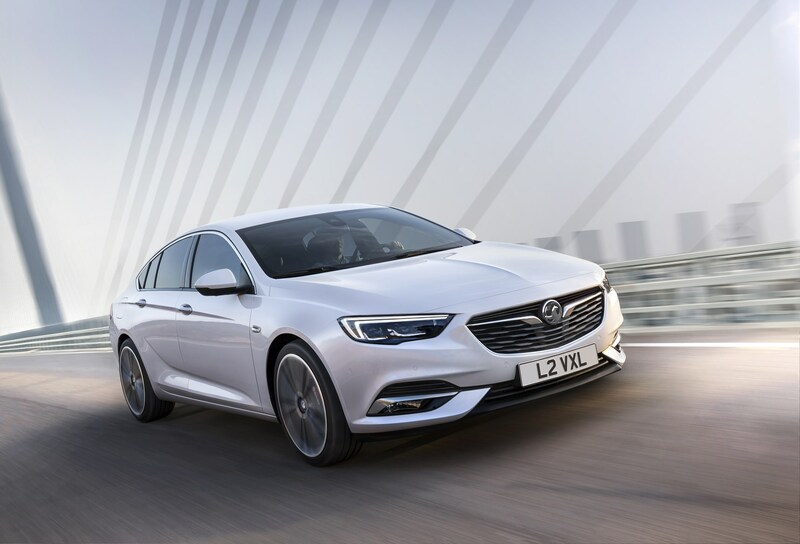 All of them are turbocharged and only the 1.5-litre petrol is a new unit, the rest are carried over from the previous Insignia. 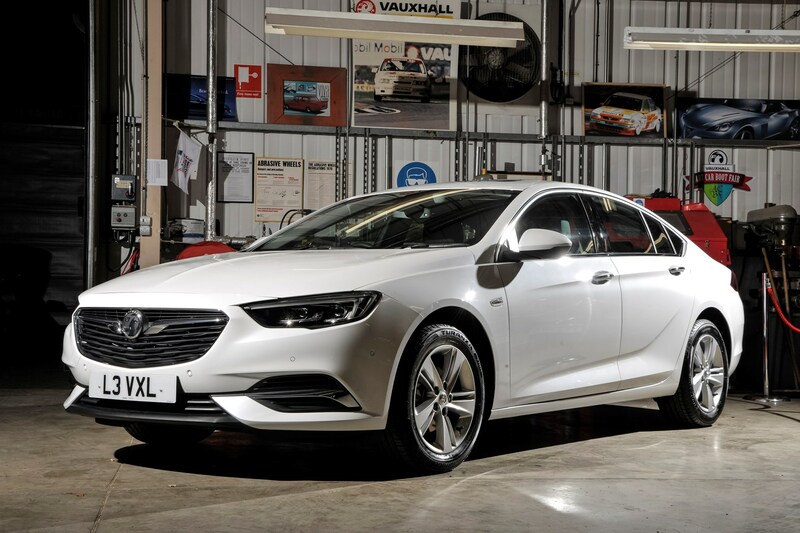 This means mechanicals of this car are largely tried and tested - and revisions mean that economy and CO2 emissions are improved over the old Insignia too. 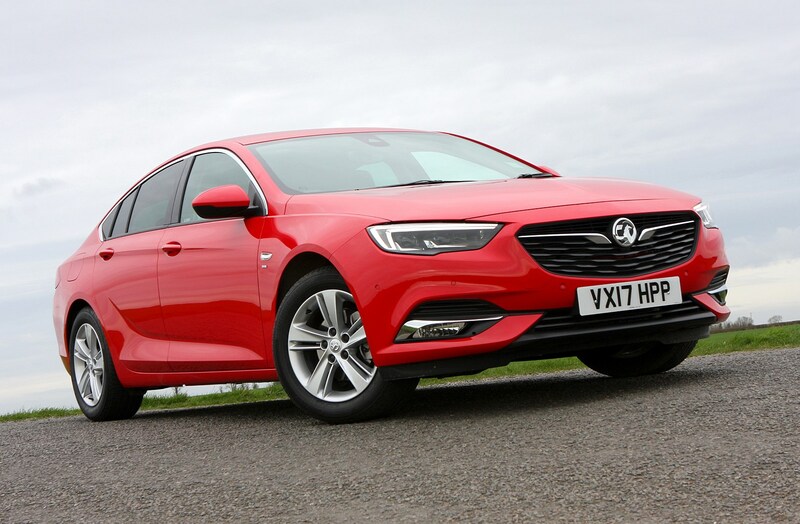 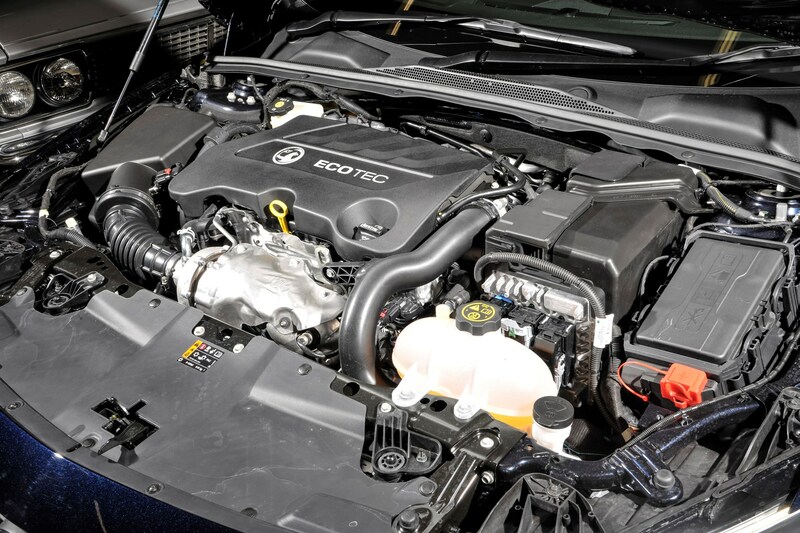 Vauxhall reckons the 1.5-litre petrol and 1.6-litre diesels will sell the best, and there are two power outputs for each unit to help tailor your Insignia to your exact needs. 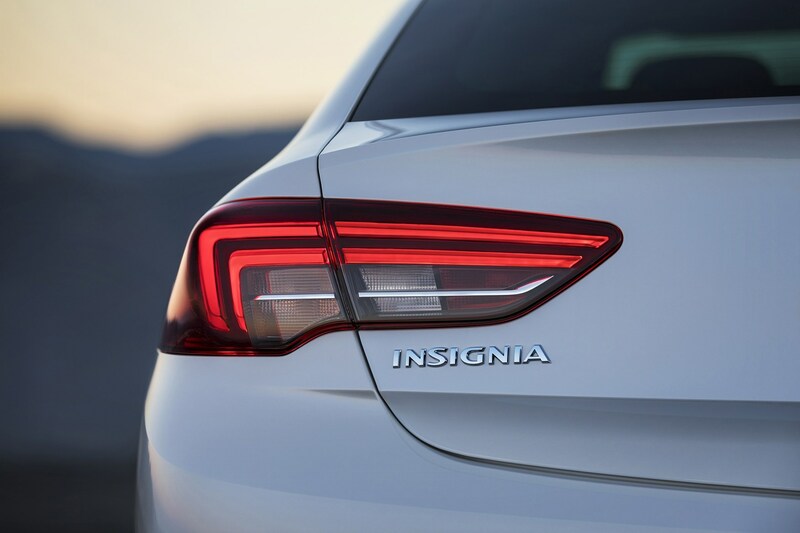 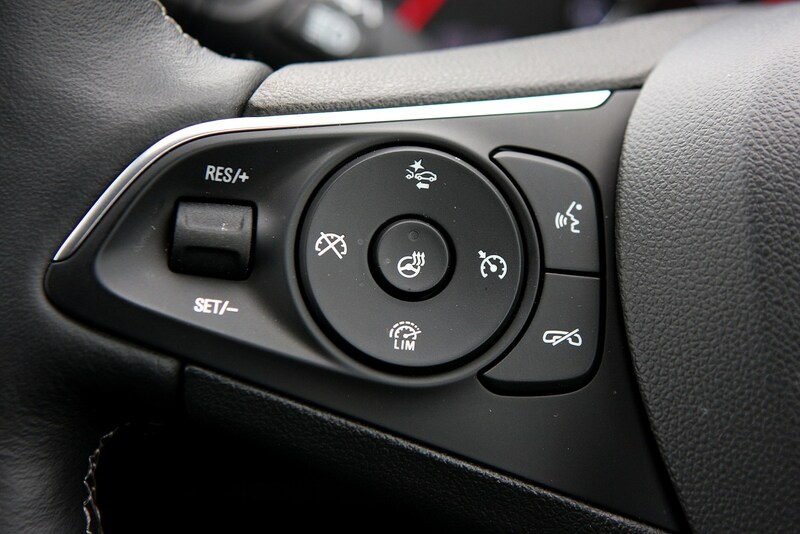 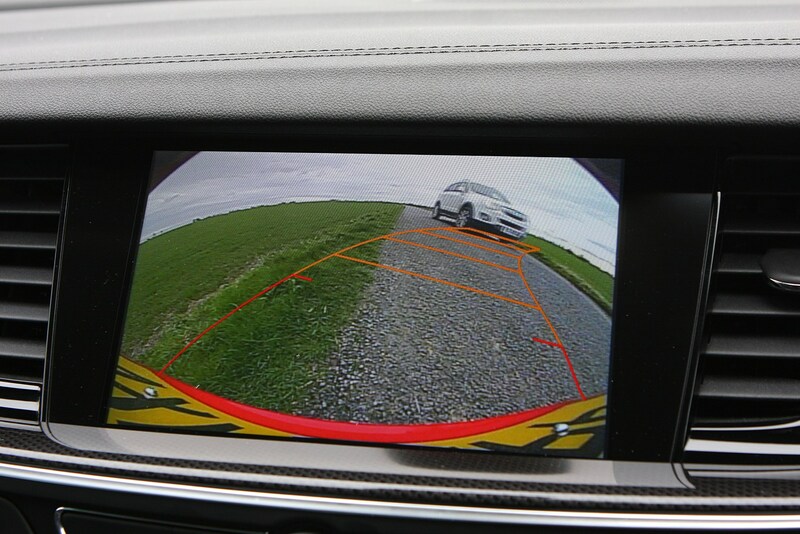 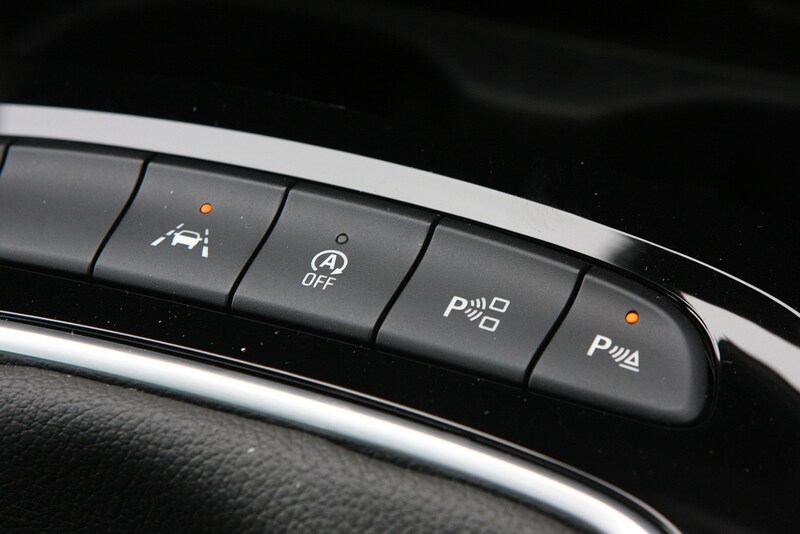 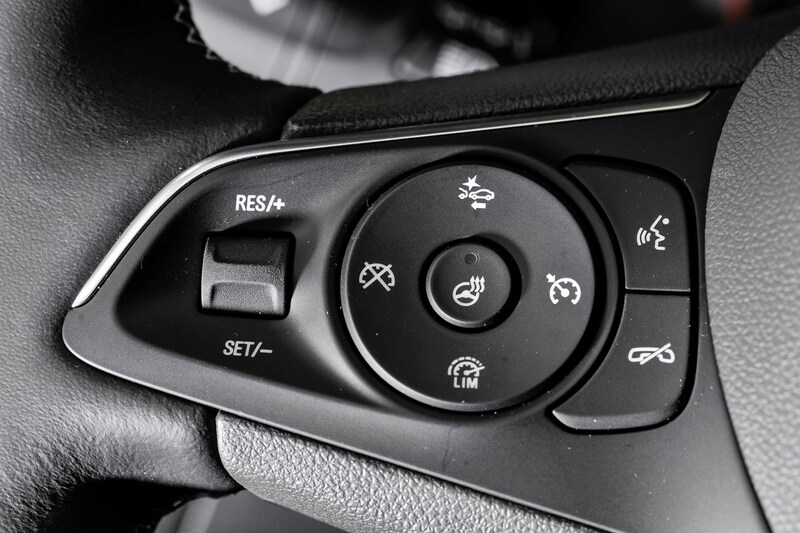 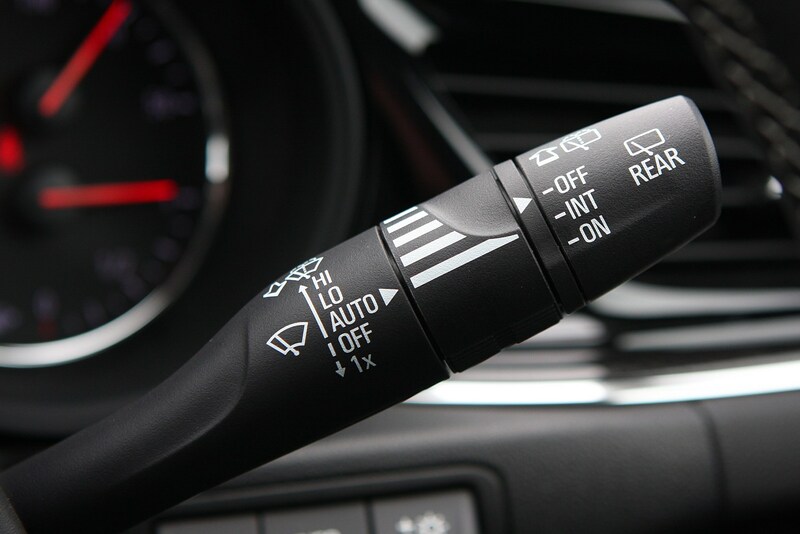 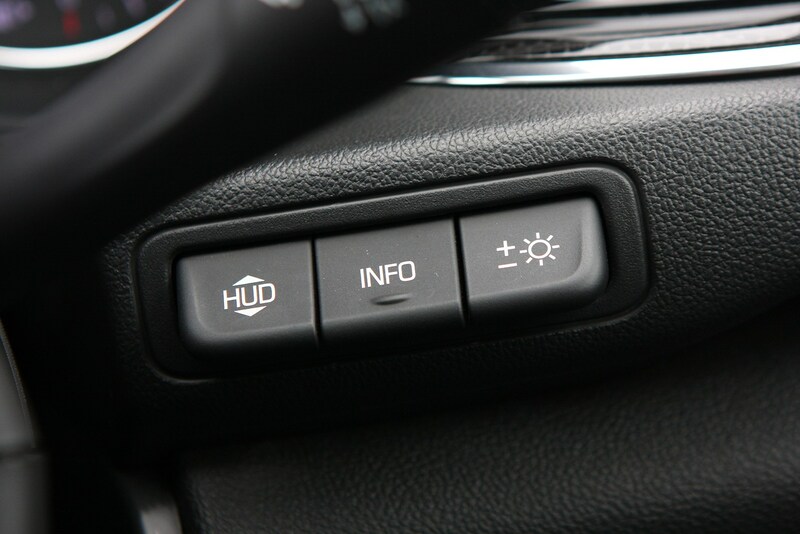 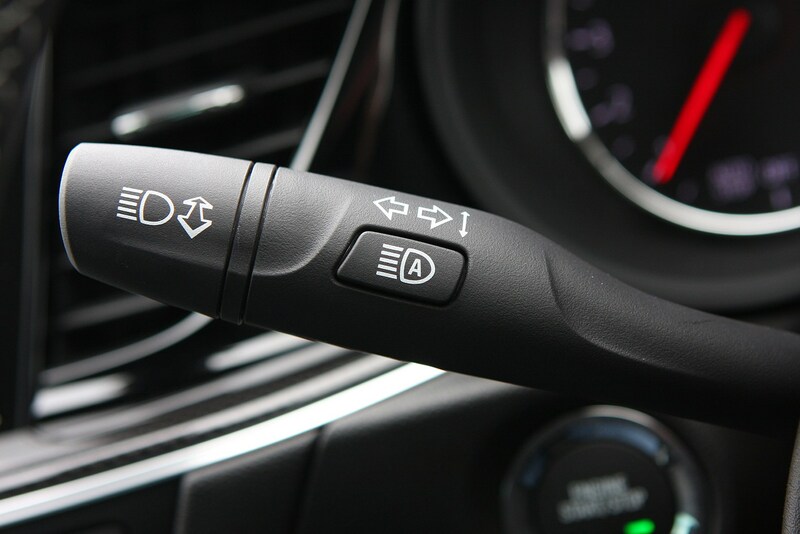 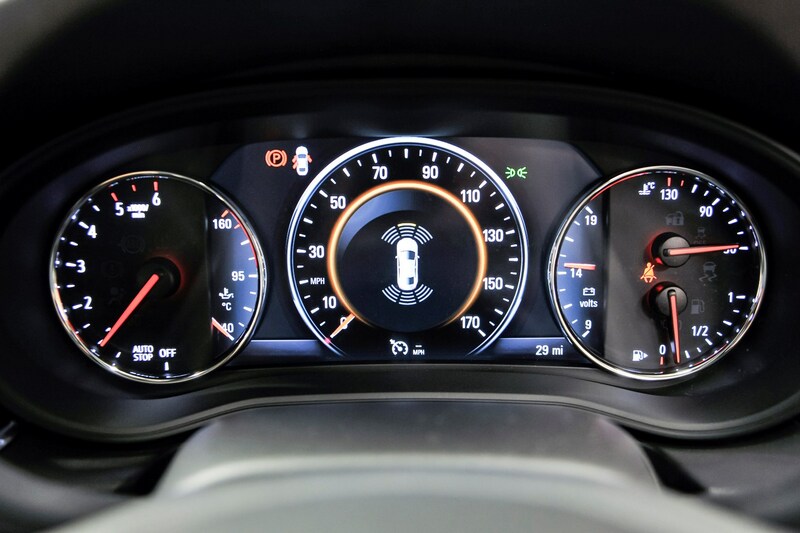 Unsurprisingly, the latest Insignia features a raft of electronic aids to make the driving experience safer: expect adaptive cruise control, lane-departure assist, rear cross-traffic alert and a head-up display (HUD) are optionally available when they’re not standard features. 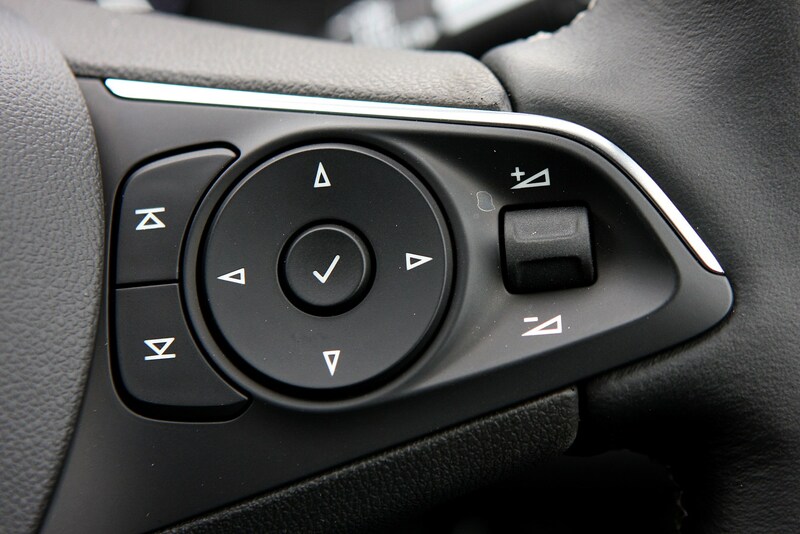 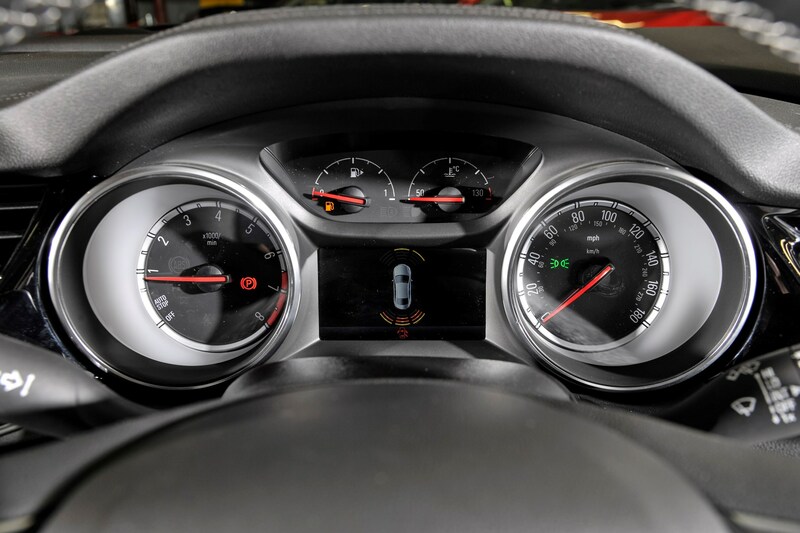 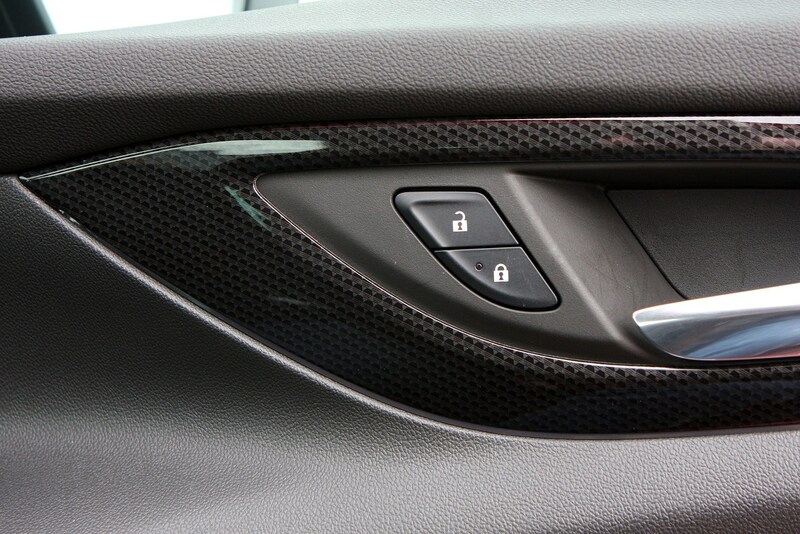 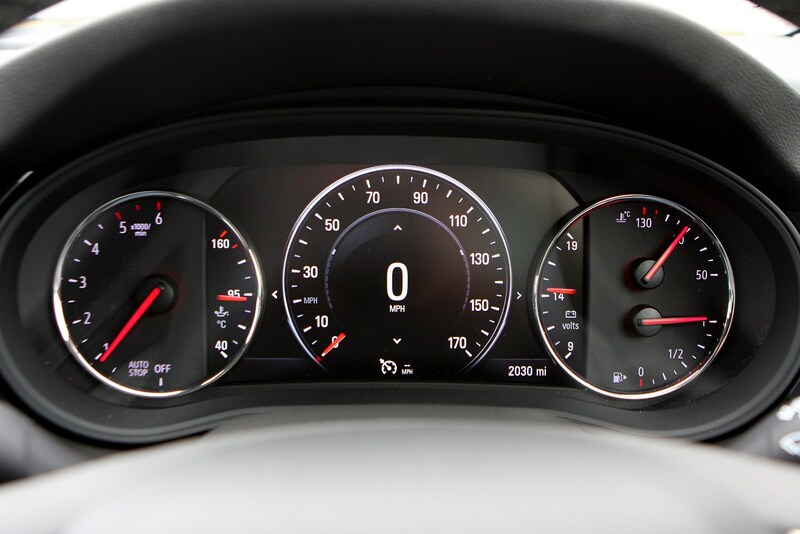 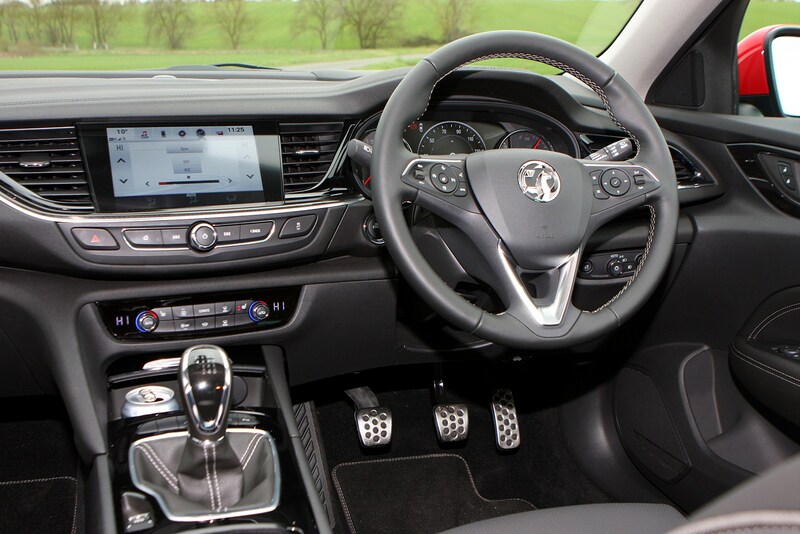 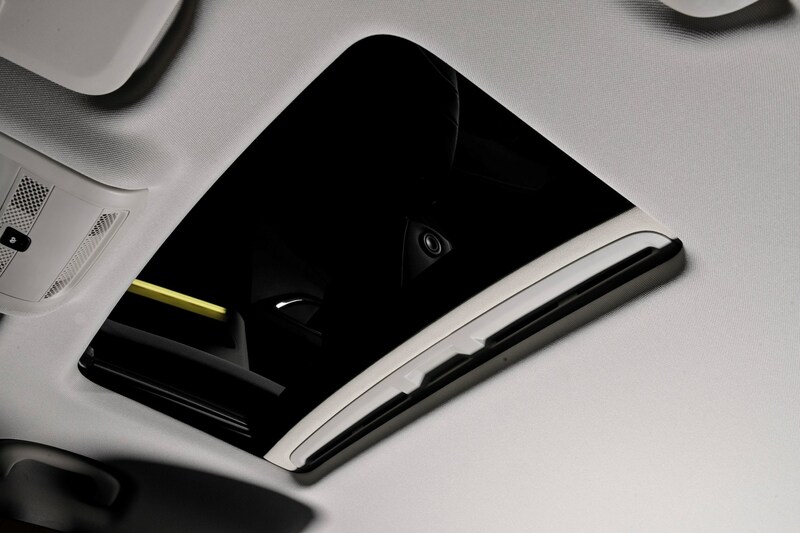 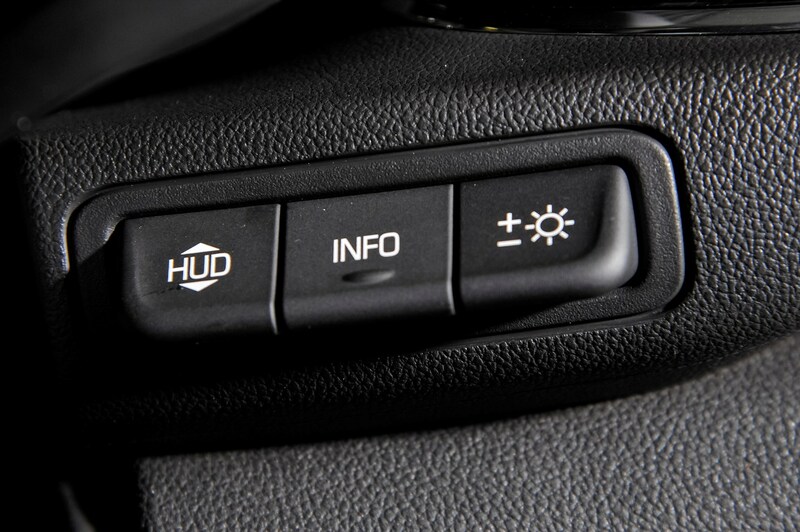 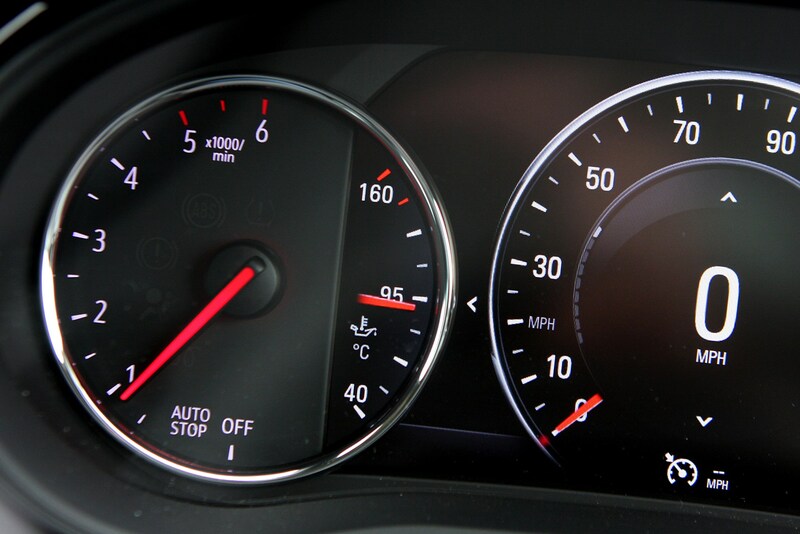 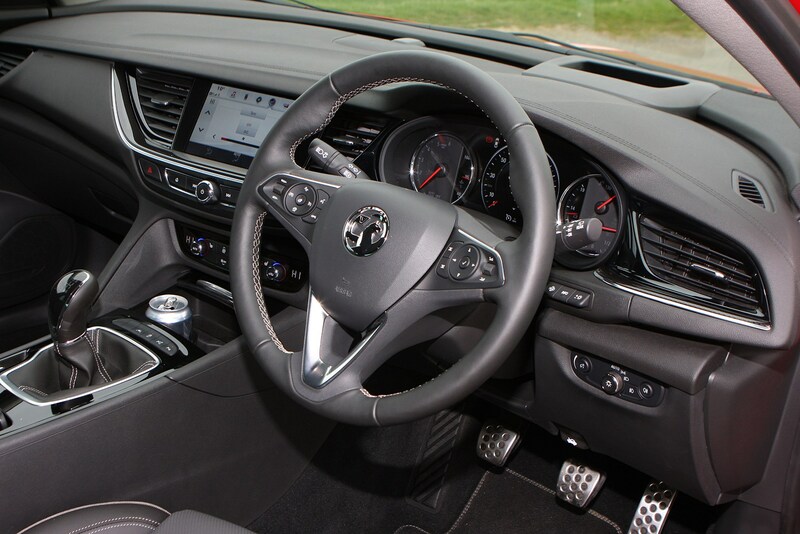 Angled towards the driver, the Astra-esque dashboard is dominated by a large multimedia touchscreen in an attempt to reduce the button count. 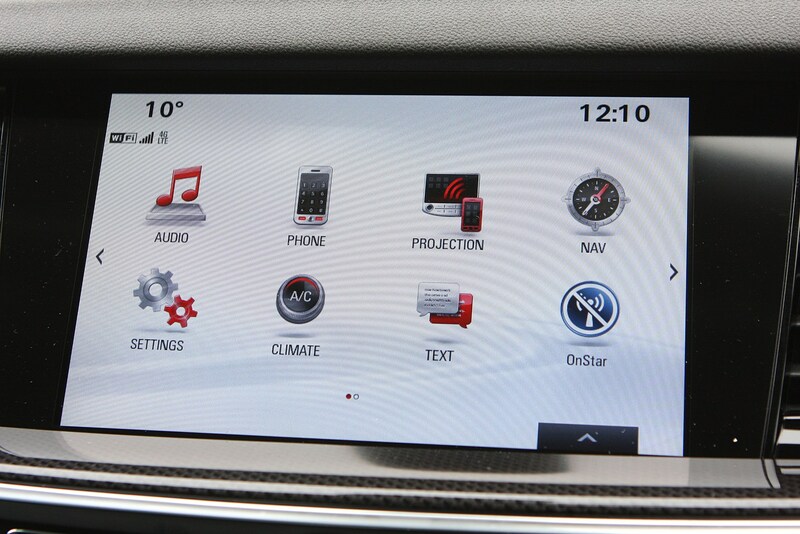 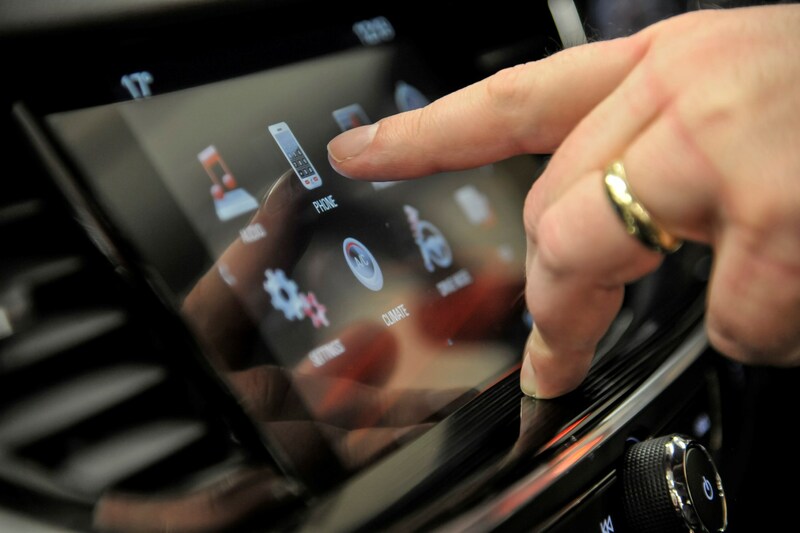 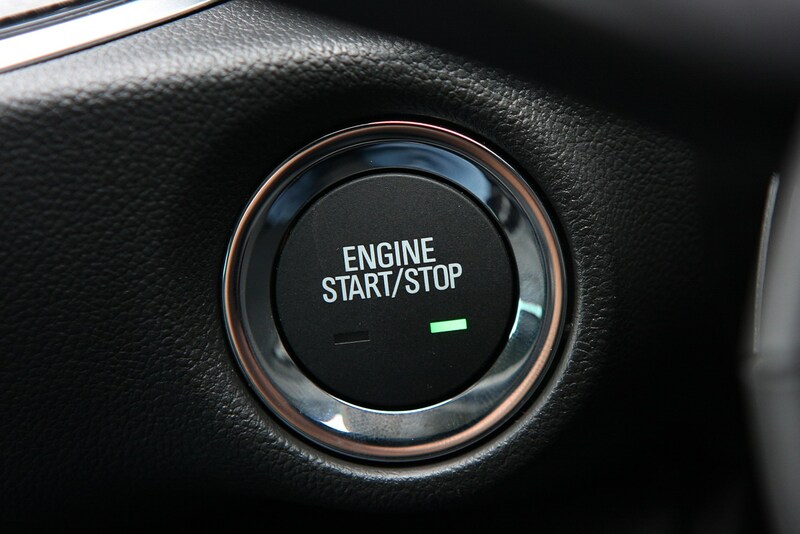 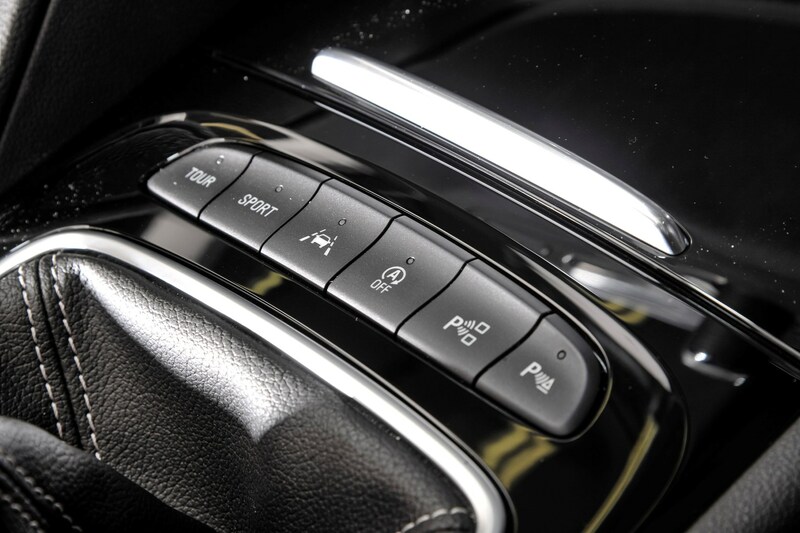 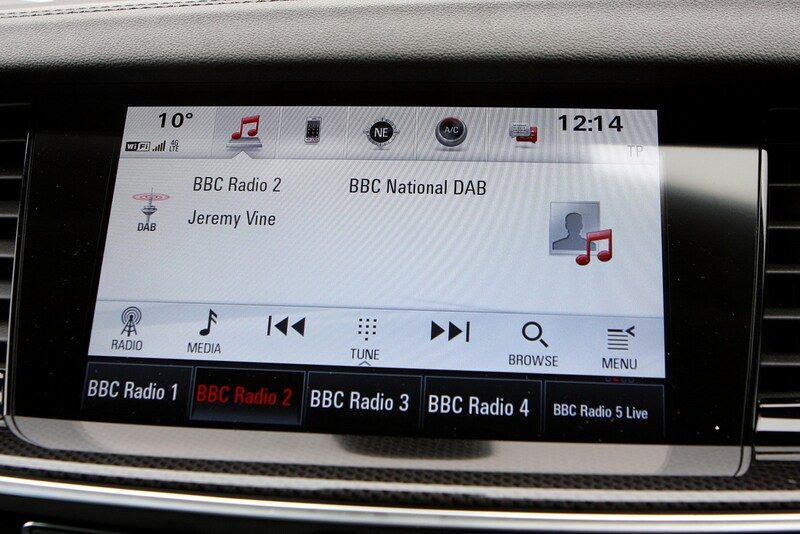 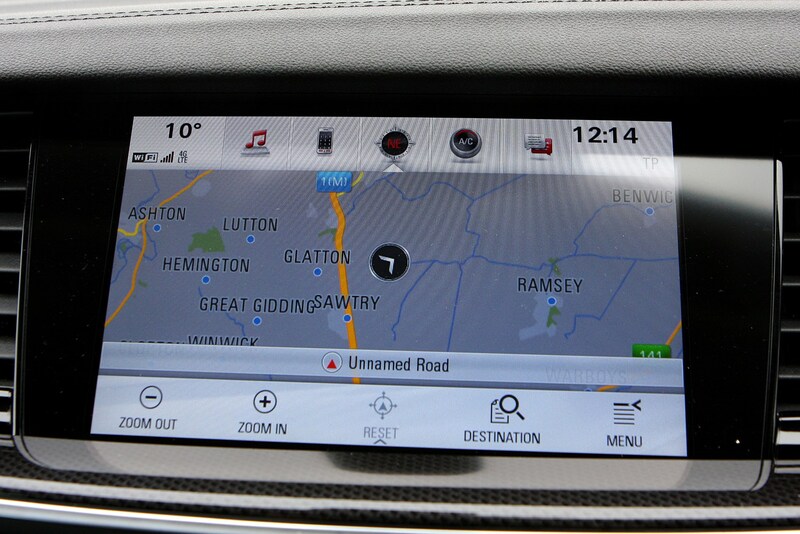 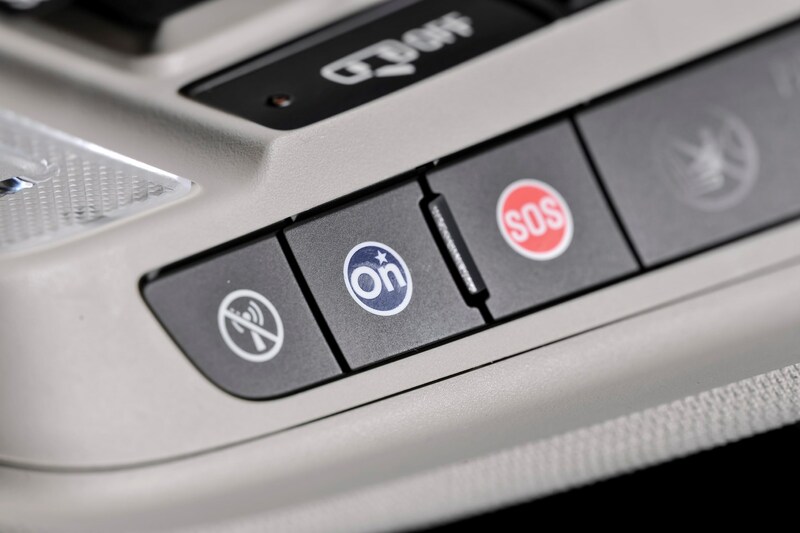 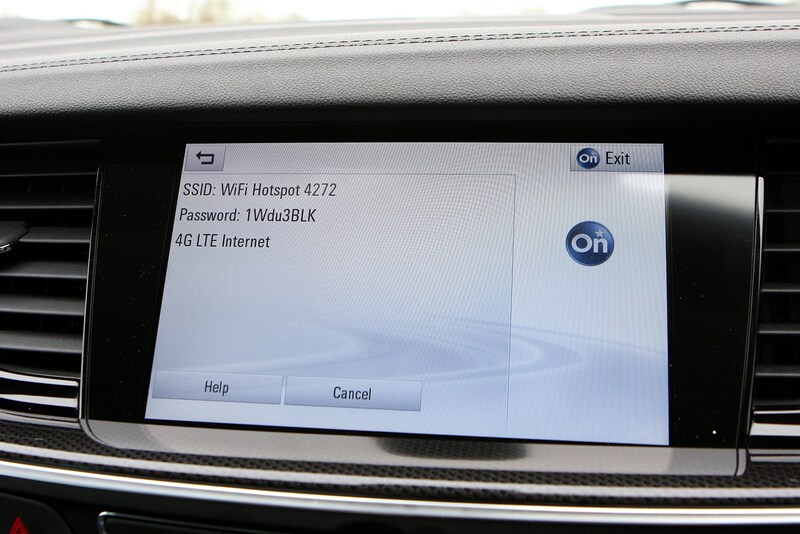 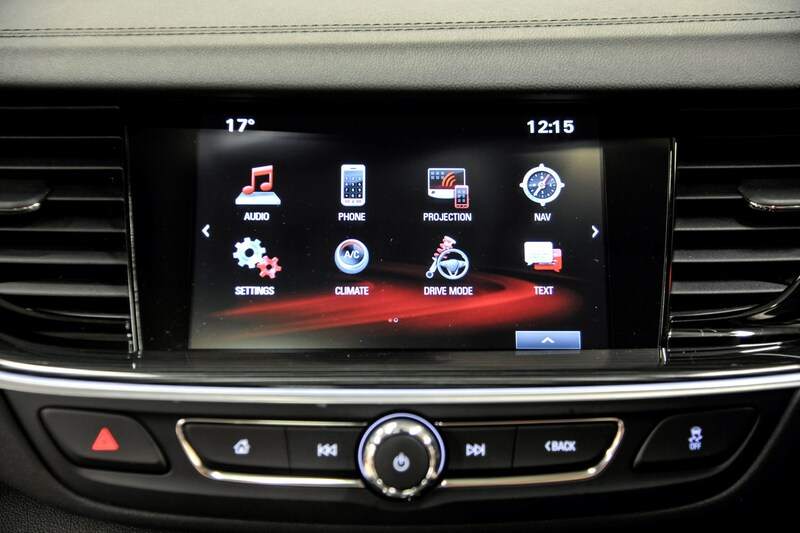 Smartphone integration is made easy with Android Auto and Apple CarPlay, which is standard on all models, while the tech-fest continues with Vauxhall’s OnStar virtual concierge service and an on-board Wi-Fi hotspot for up to seven devices. 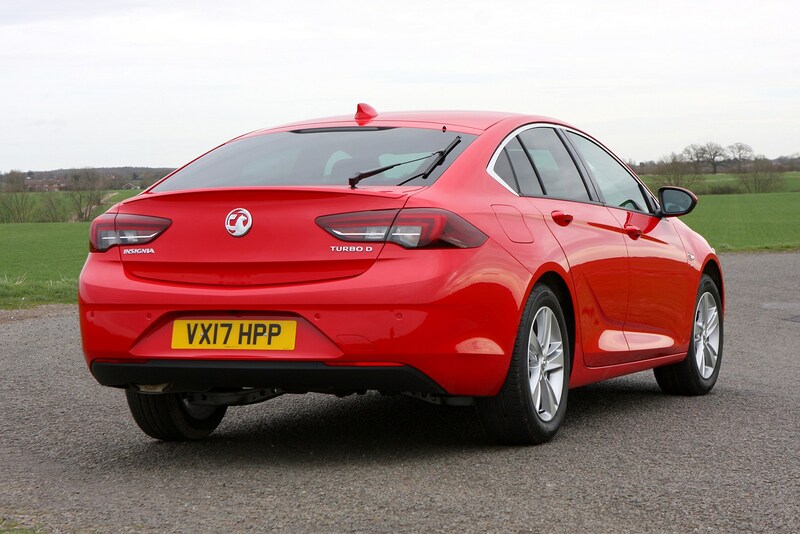 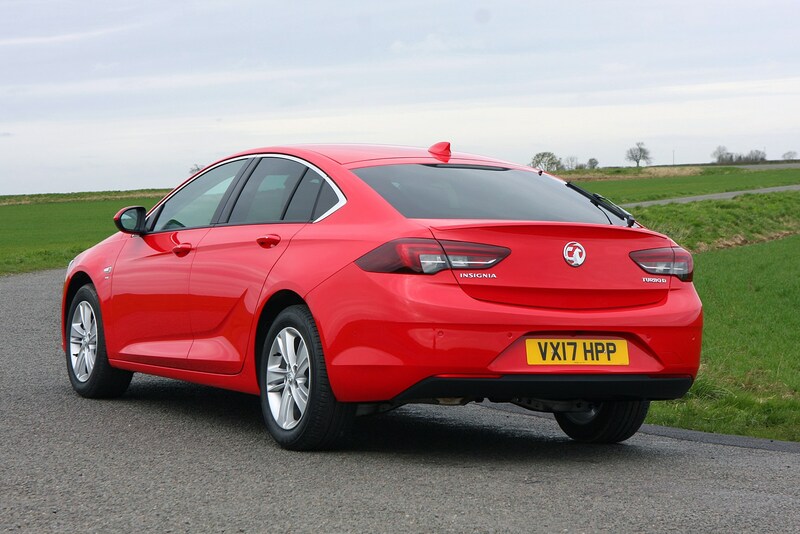 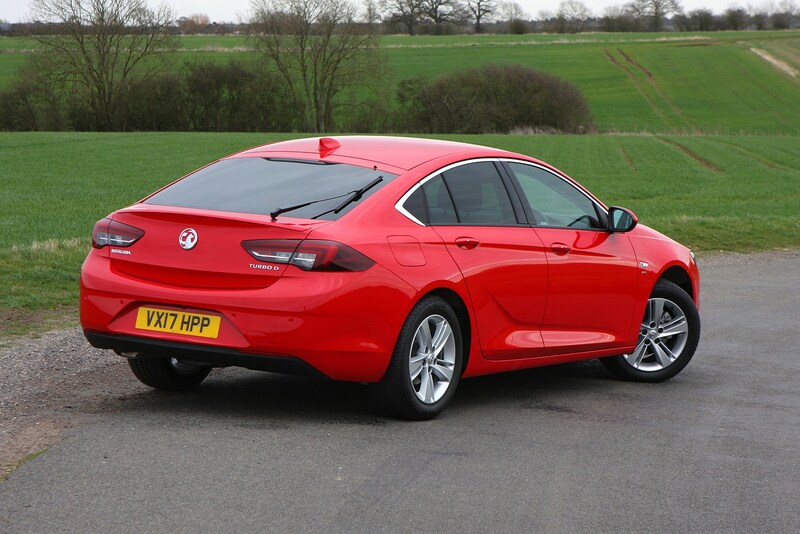 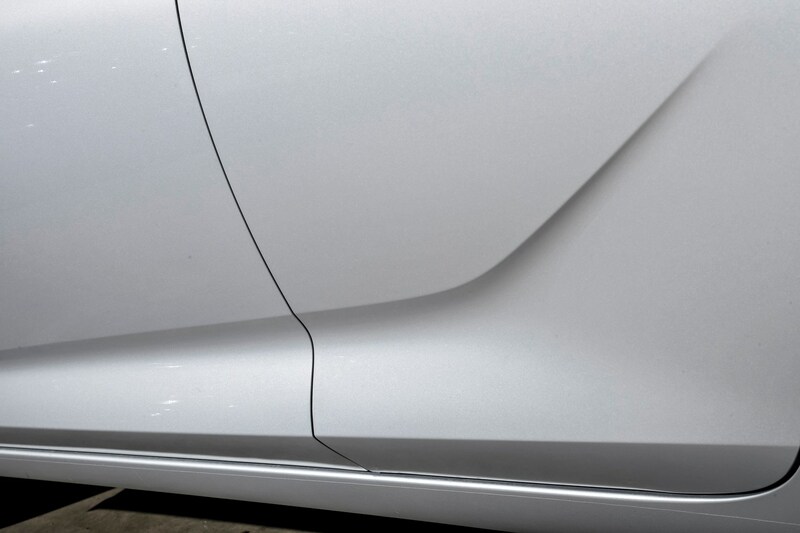 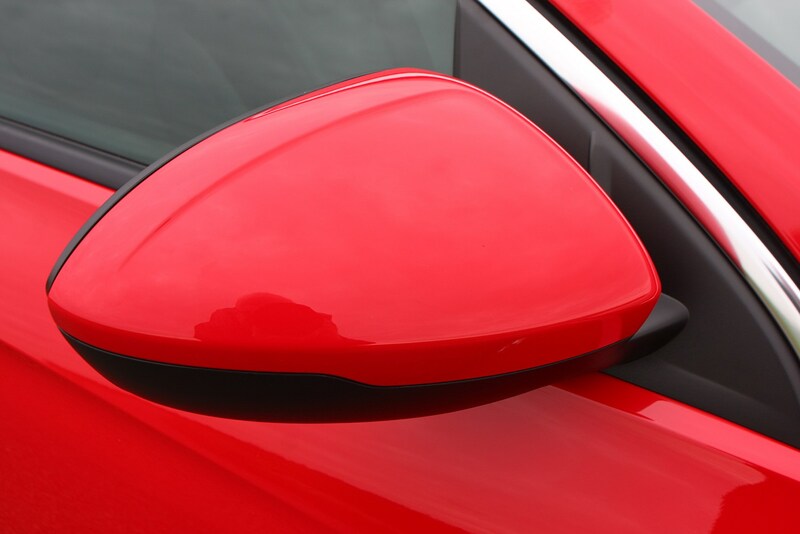 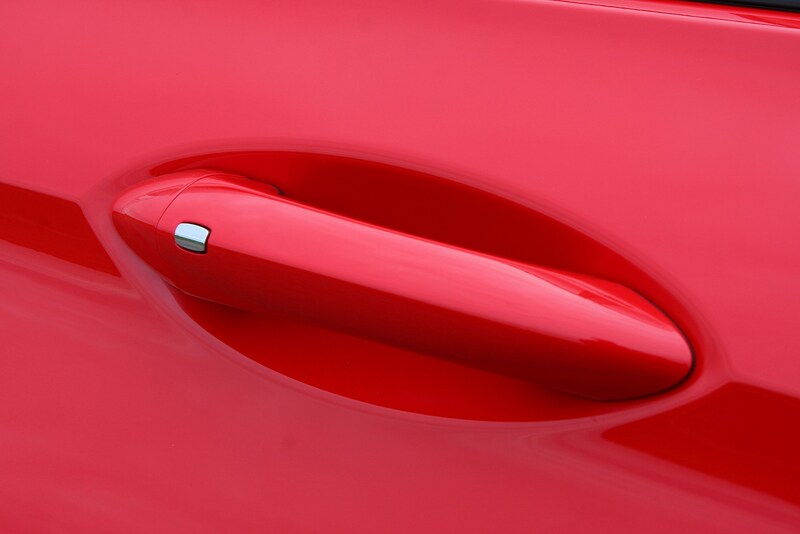 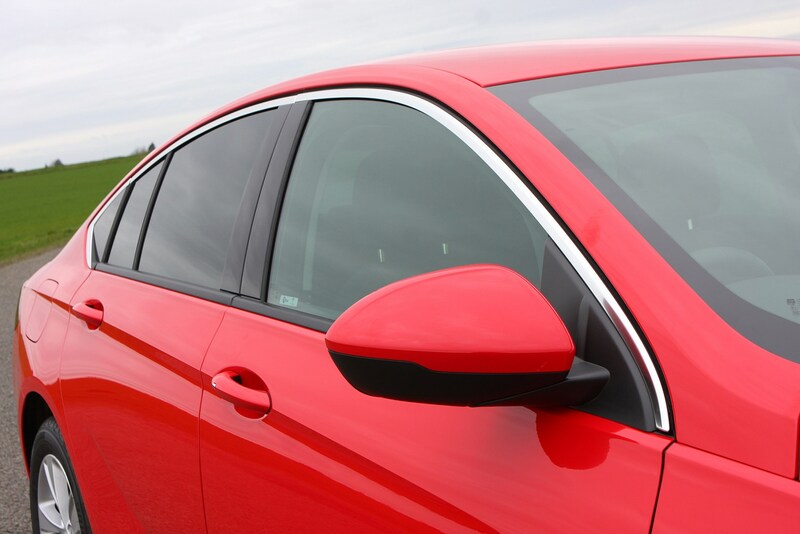 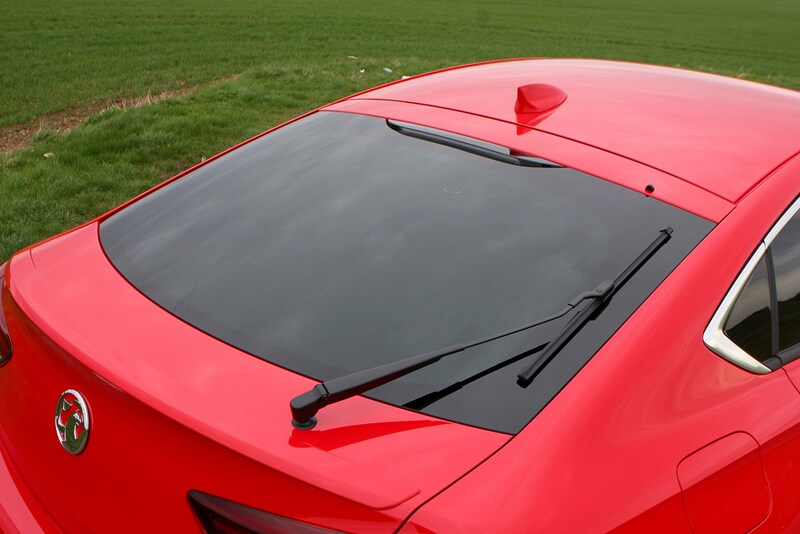 The GSi badge returned to Vauxhall's bootlids in 2017. 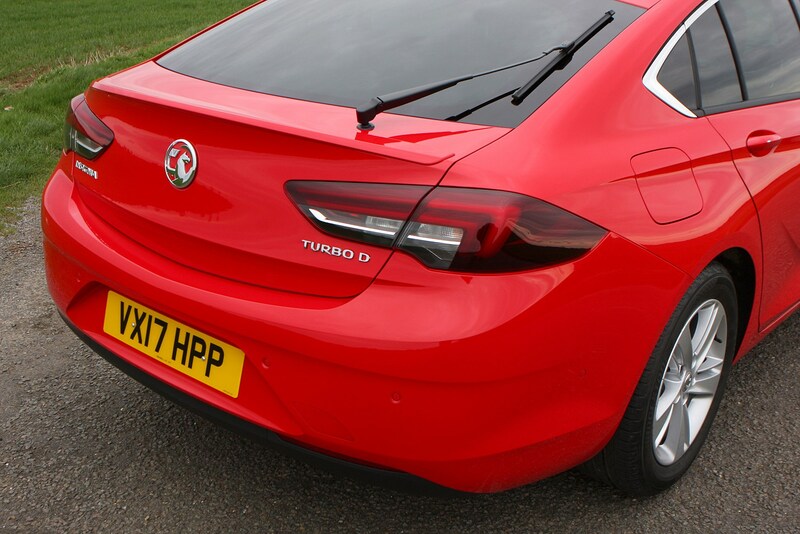 And this is far more than simply a bodykit. 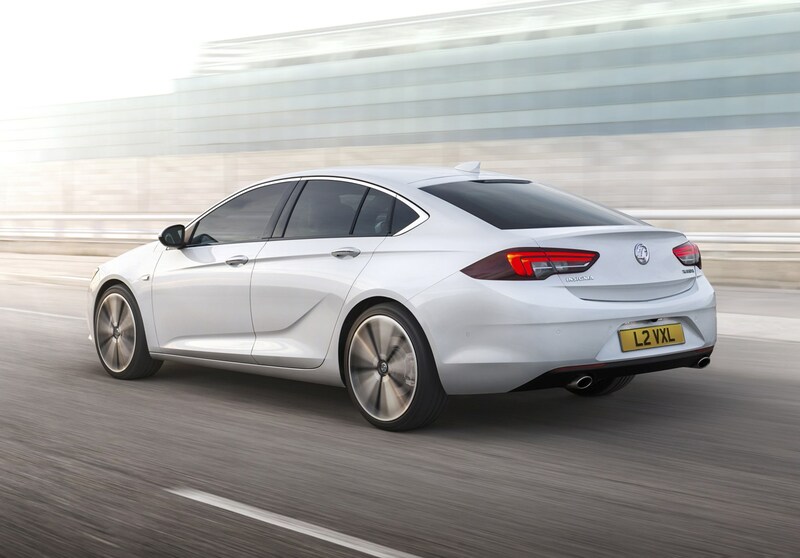 It's a dedicated performance model, with a 260hp turbocharged petrol engine, an eight-speed automatic gearbox and all-wheel drive. 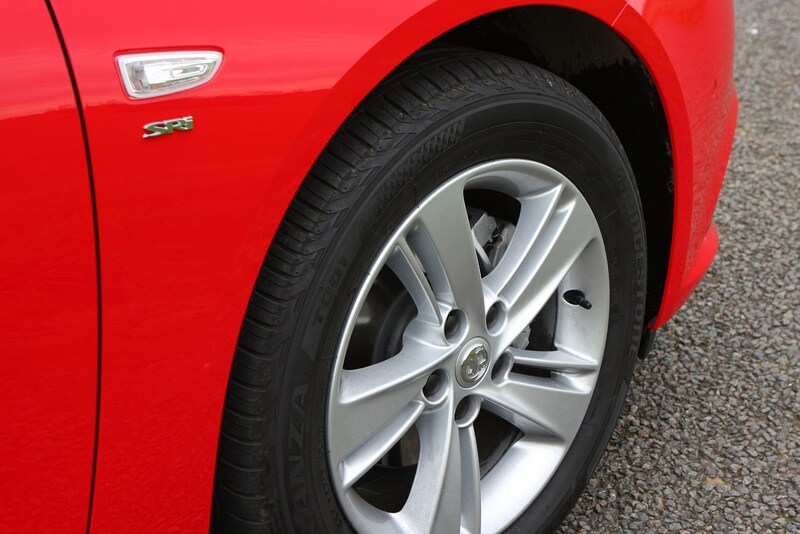 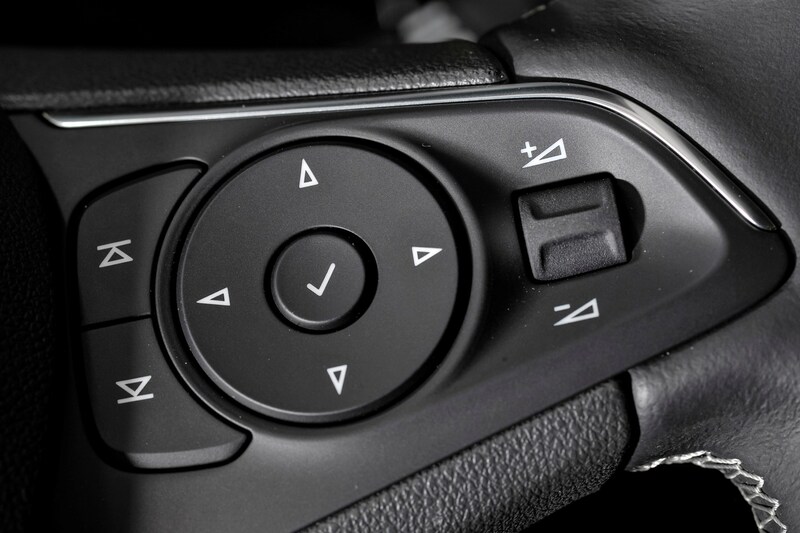 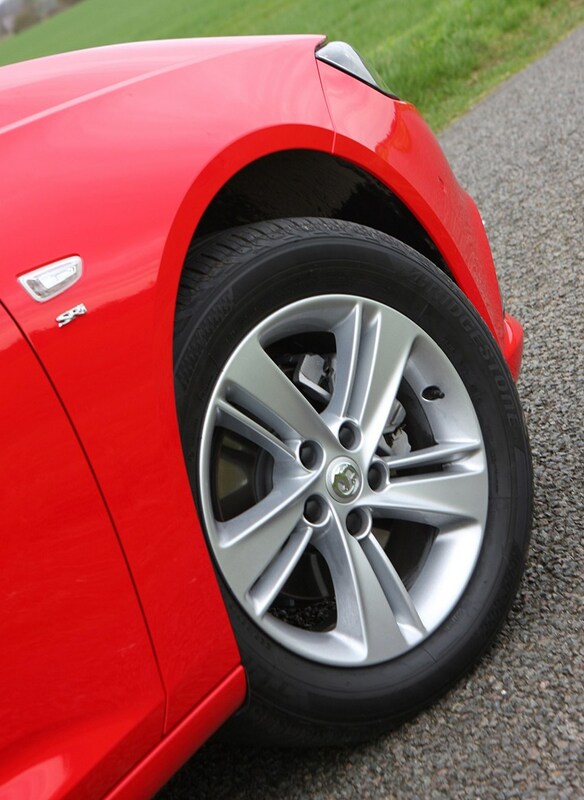 Vauxhall's Flexride adaptive suspension features, along with some large Brembo brakes for serious stopping power and full leather sports seats to keep you planted. 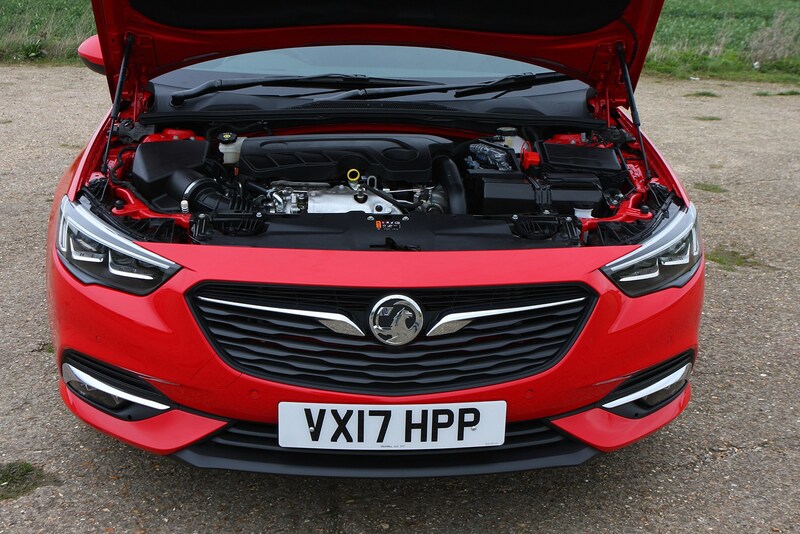 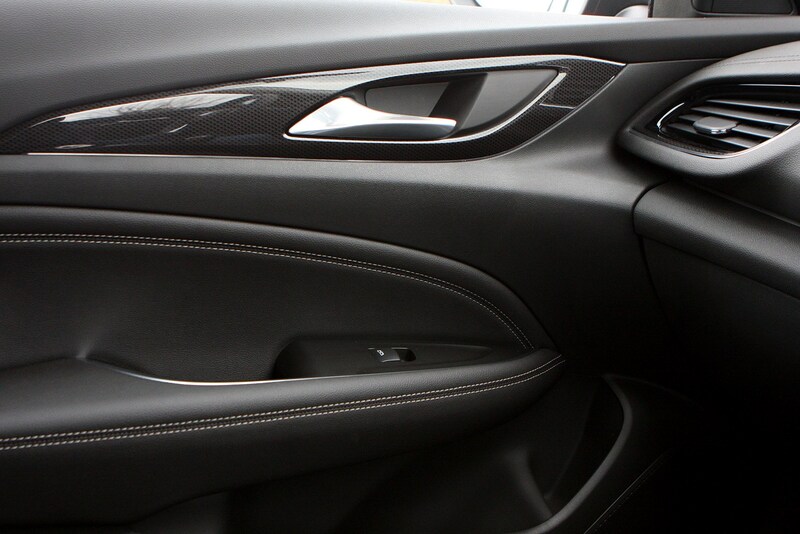 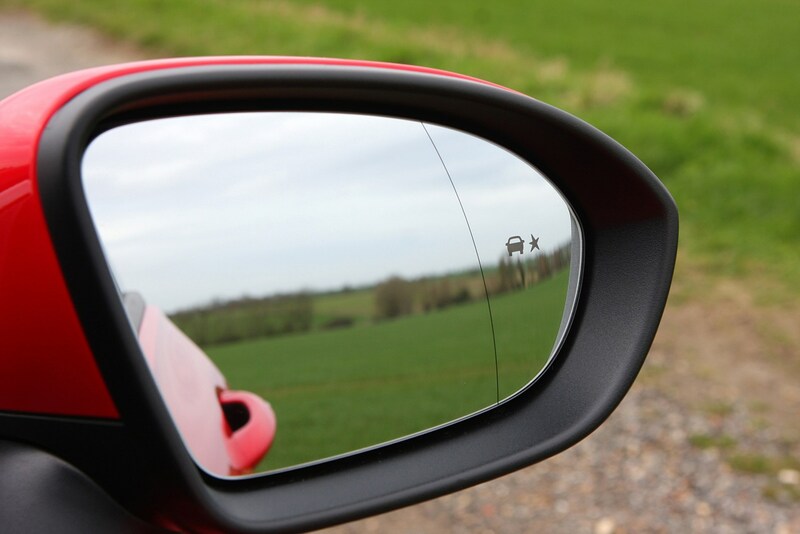 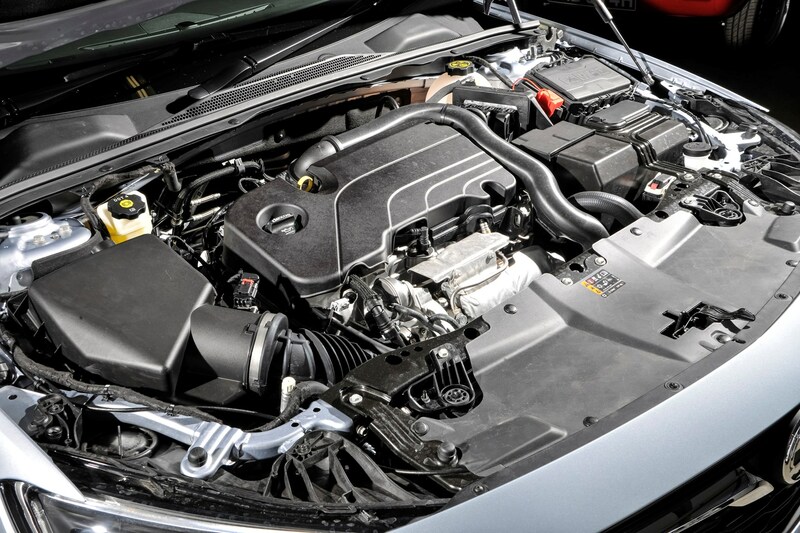 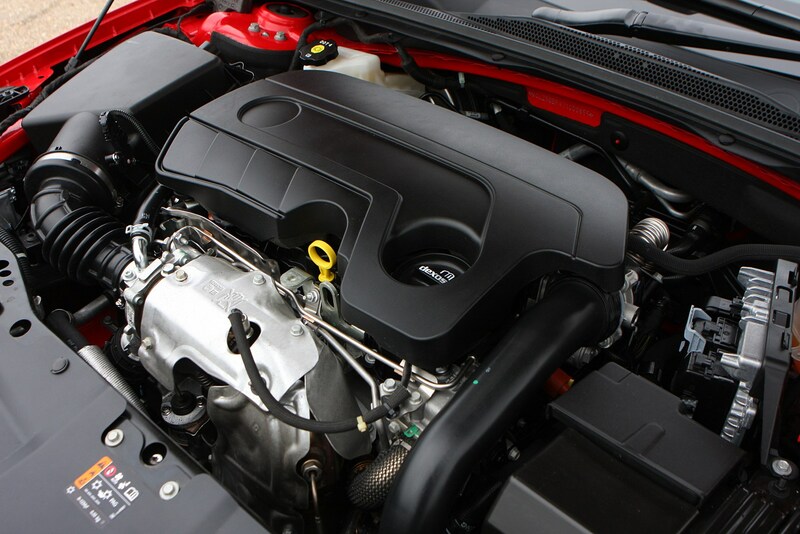 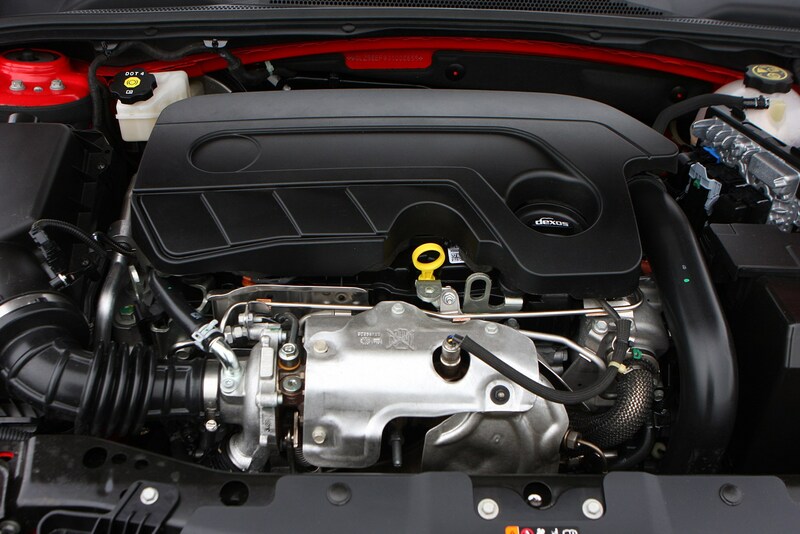 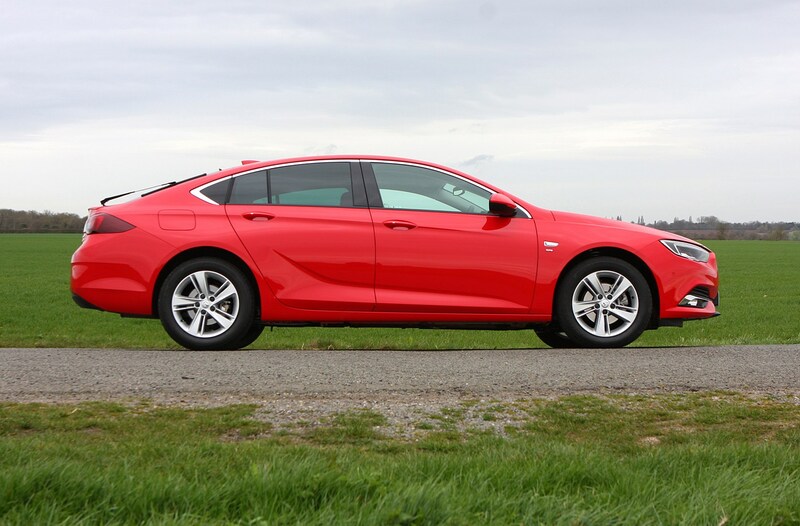 Performance eclipses the previous Insignia VXR thanks to a 160kg weight reduction compared to the normal Grand Sport. 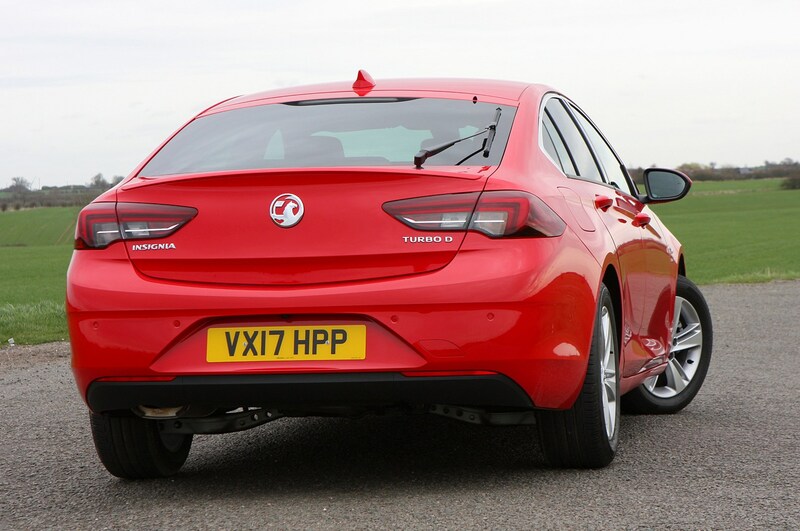 Its handling has been honed on the famous Nurburgring test track in Germany. 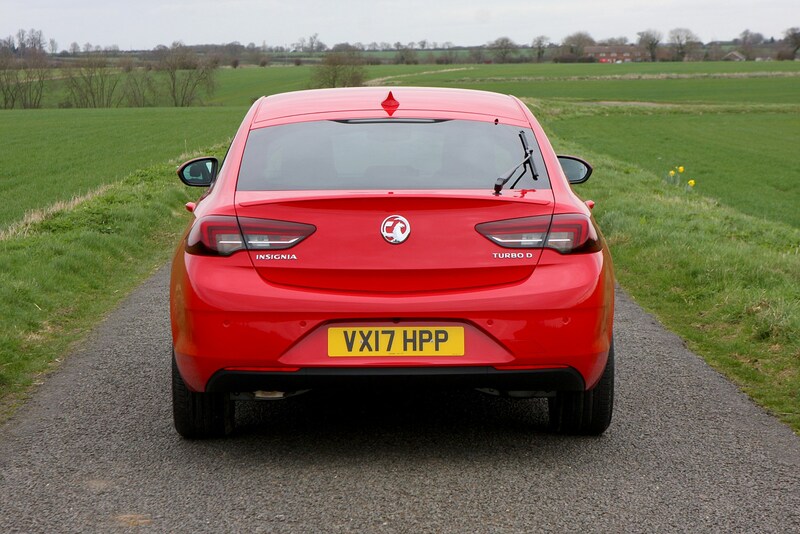 A good, solid verdict for a good solid car. 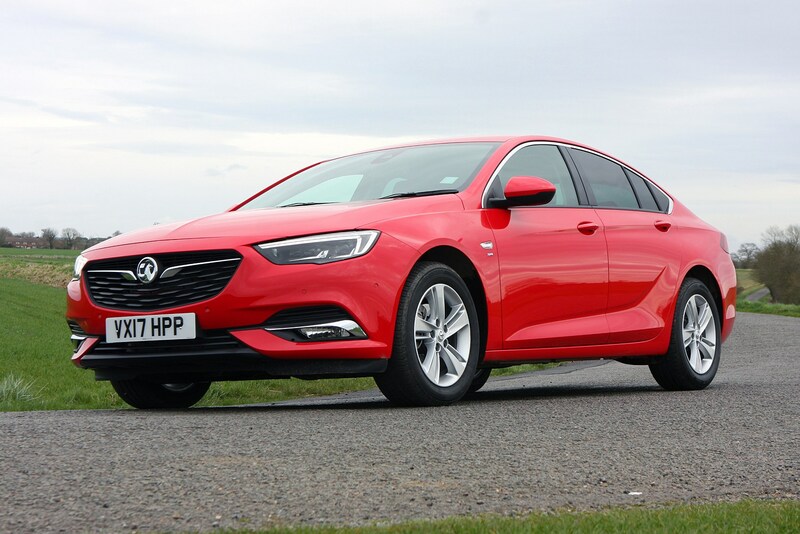 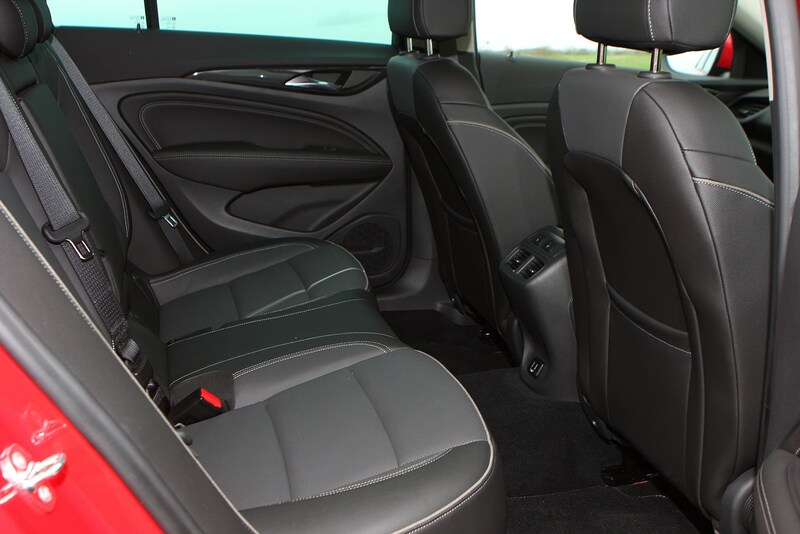 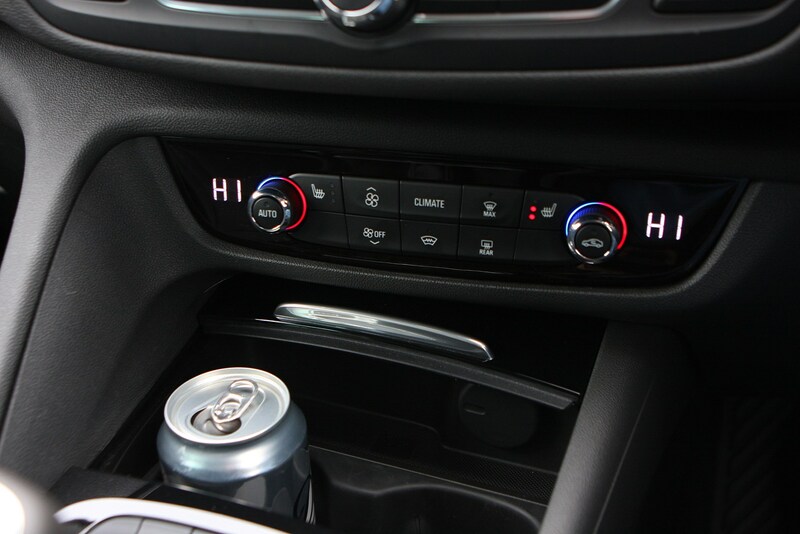 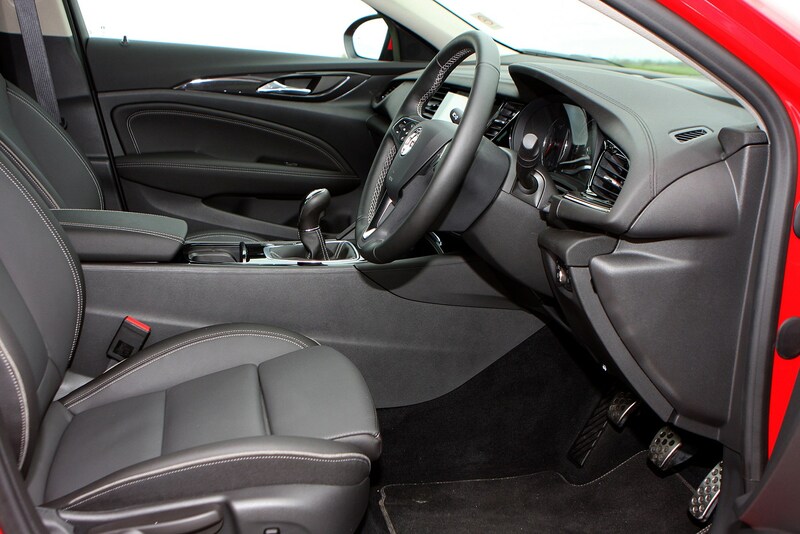 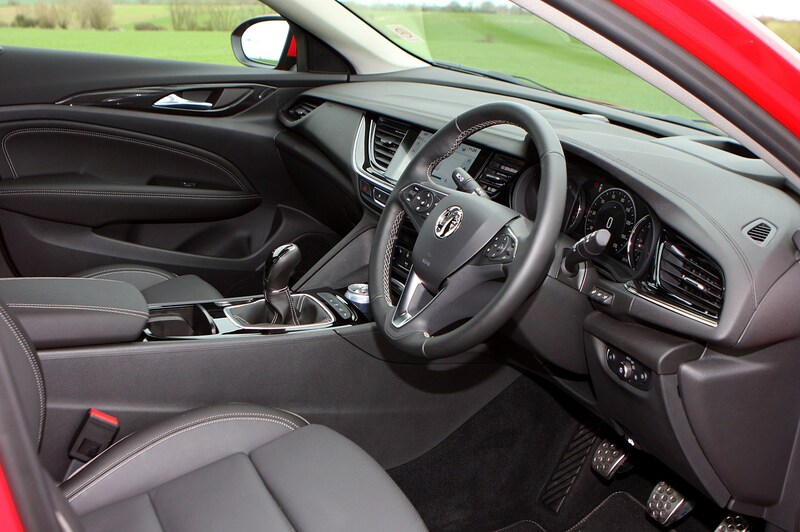 The Vauxhall Insignia Grand Sport is decent to drive, excellent on long journeys, is well-made, and has a nice, usable interior that feels like it will withstand years of hard use without any troubles. 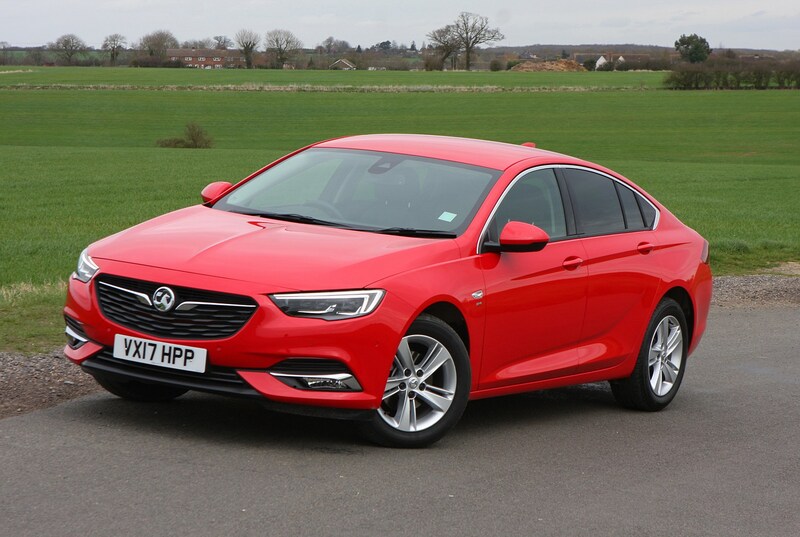 So, why doesn't it score better? 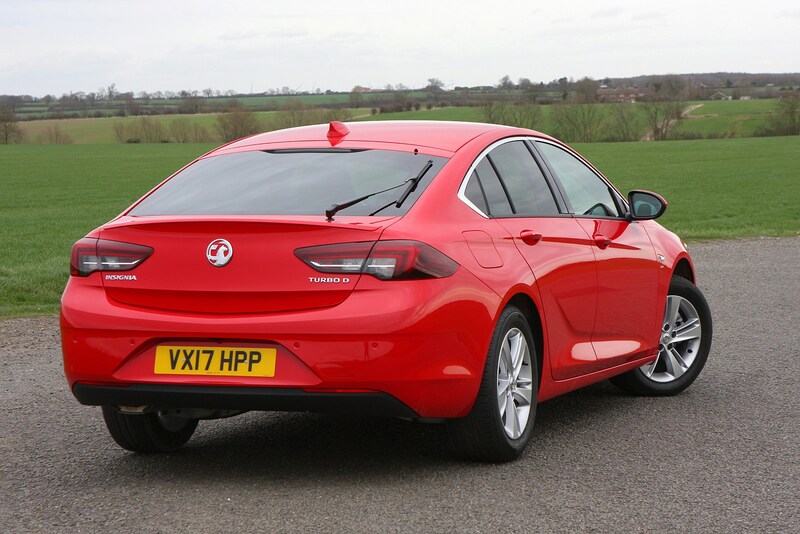 The Insignia Grand Sport is a typical modern Vauxhall. 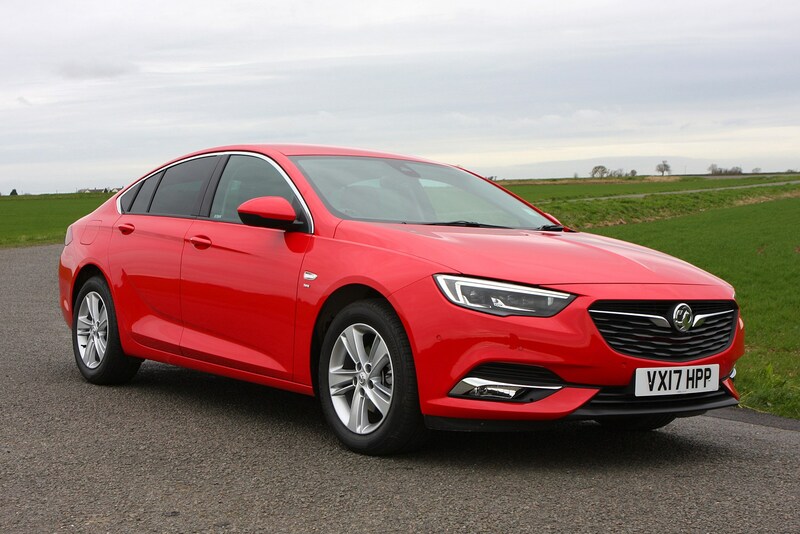 It's very good at what it does, but lacking in that last bit of desirability – sexiness – that you'll find in non-premium rivals, such as the Volkswagen Passat and Skoda Superb. 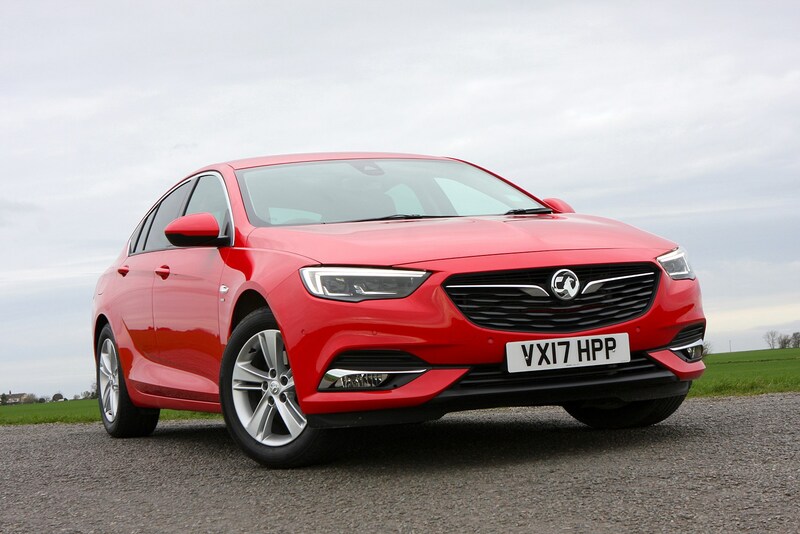 We could happily recommend it as your one and only car purchase, but suggest that some of its rivals would leave you feeling better in the long run. 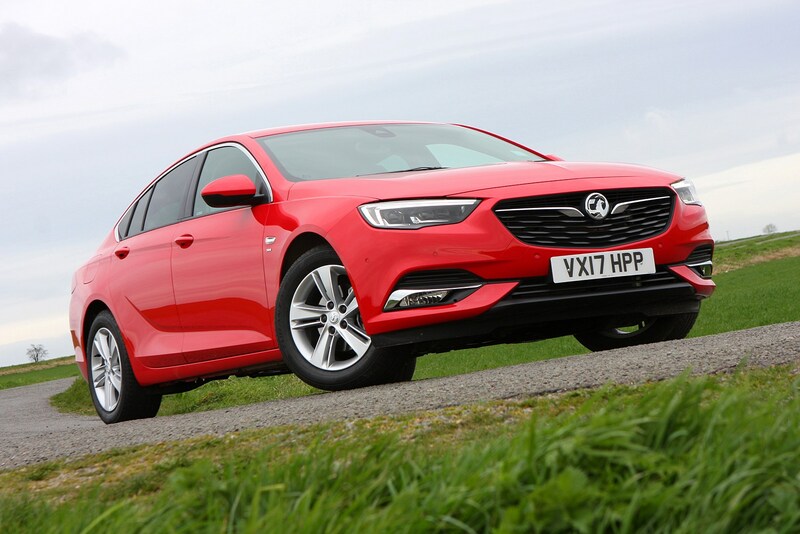 Ford Mondeo vs Vauxhall Insignia: which is best?